We have our own 3GL email! If you wish to contact us, please do so with the secure form below- we will be checking it regularly. We welcome your comments and suggestions. 3GL will have outdoor PE on a Wednesday and indoor PE on a Monday. 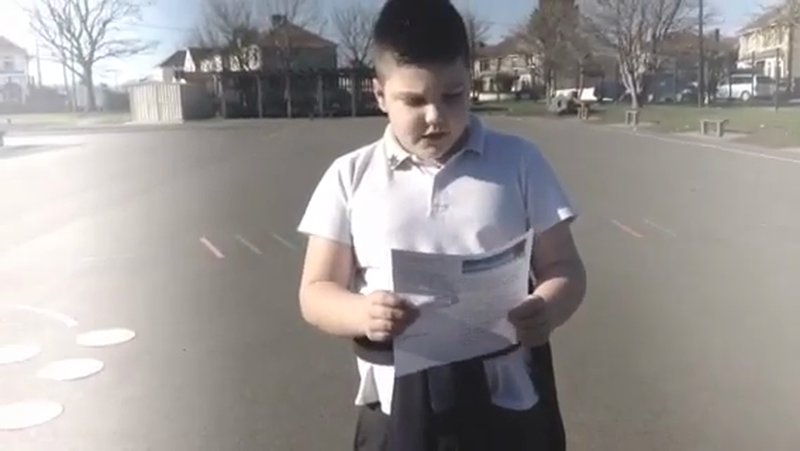 Enquiry Overview: What makes a hero? This term, we will immersing themselves in the world of heroes and the Power of Reading text 'Krindlekrax.' 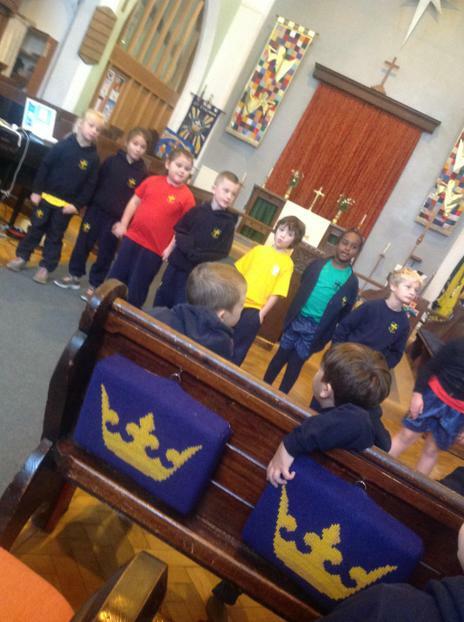 We shall be learning all about a young boy called Ruskin and how he became the hero of Lizard Street. 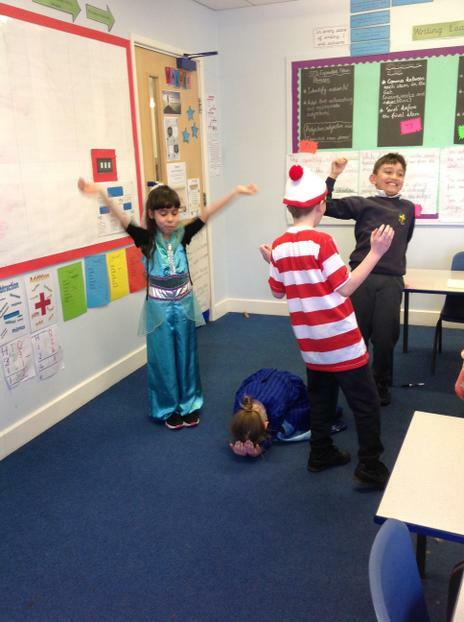 We will take part in drama activities including freeze-frames, hot-seating and role play and we shall also be retelling parts of the story orally and using story telling actions. Throughout this we will be thinking about the question "what makes a hero?" 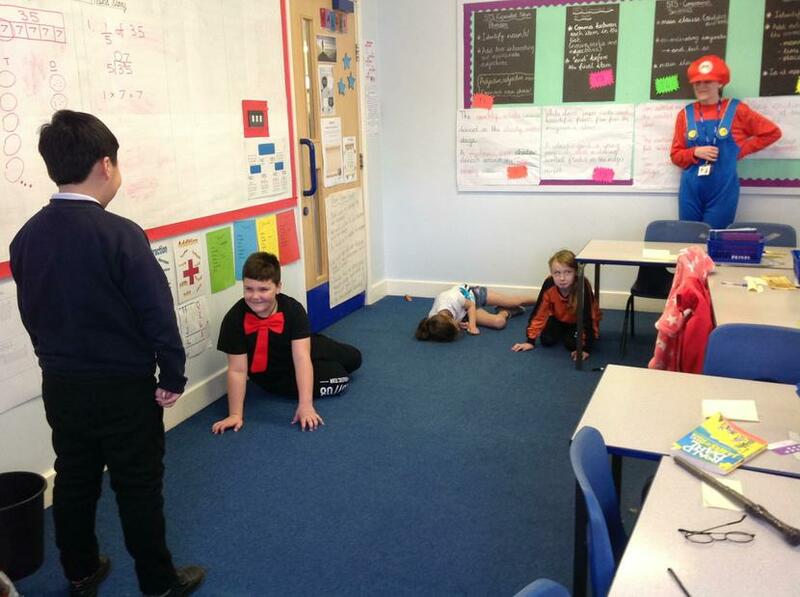 We will look at whether a hero needs to be strong, tough or need superpowers. Finally, we shall be thinking about who is a hero in our own lives and write a kenning poem to showcase this. Alongside this enquiry, we will be looking at a Global Goal: Life on Land. We shall be looking at how actions of people, cutting down trees and littering is affecting our planet and what we can do to slow the process down. Enquiry Overview: Are all rocks the same? 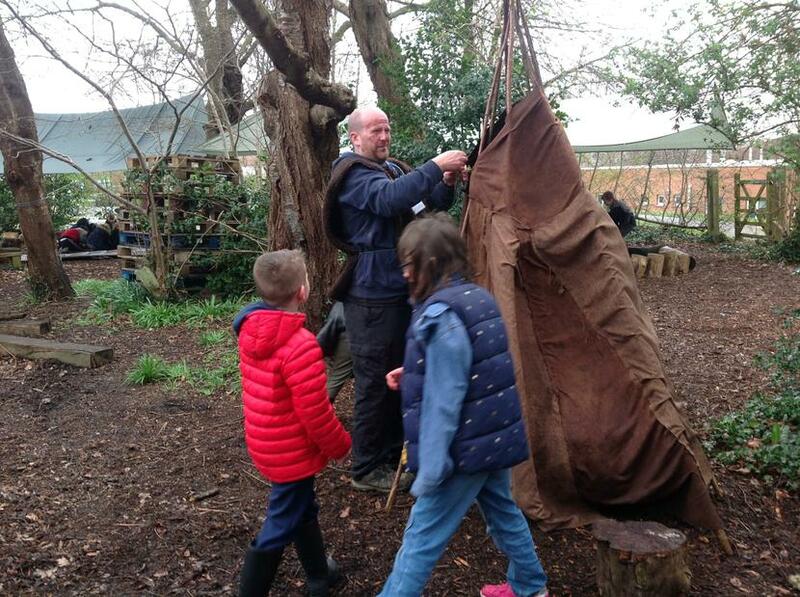 This term, we will be travelling back millions of years ago to the Stone Age! 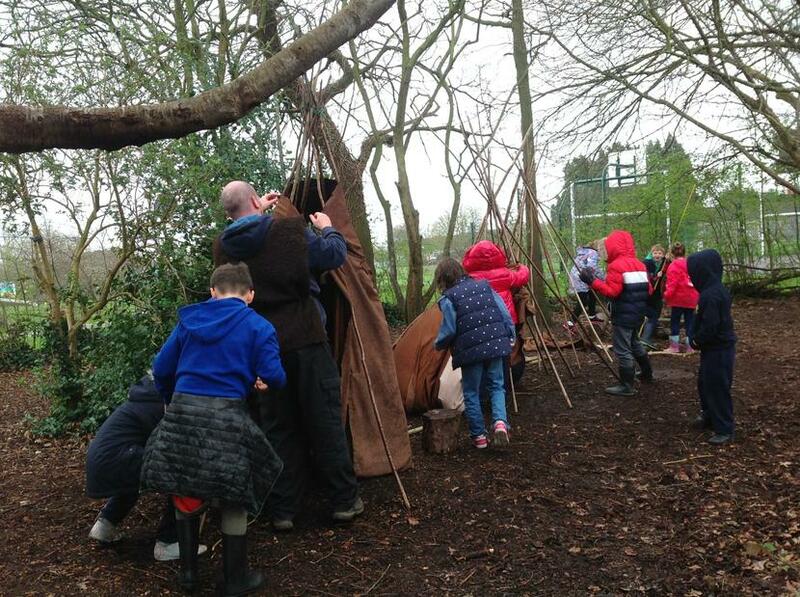 We will be learning about how people of the Stone Age lived, how they kept themselves alive, how they lived and how they told stories to each other. 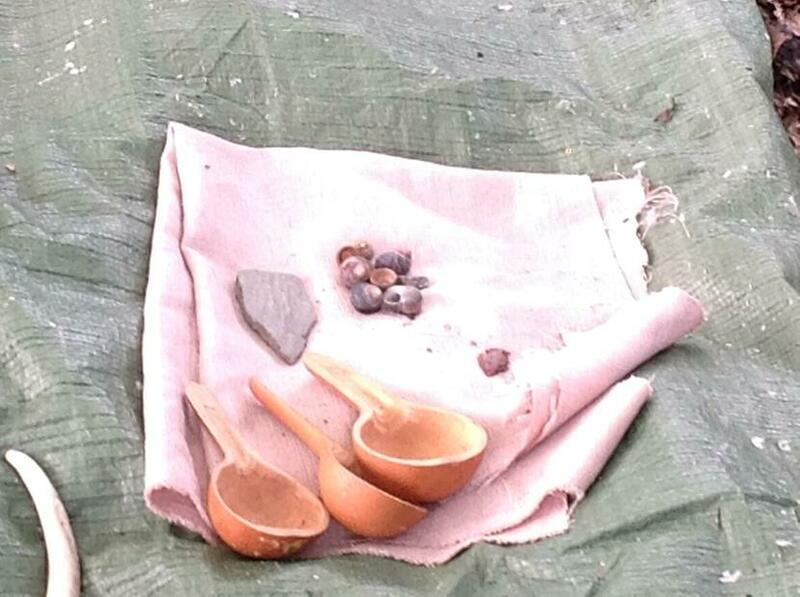 We will also be learning about rocks and soils. 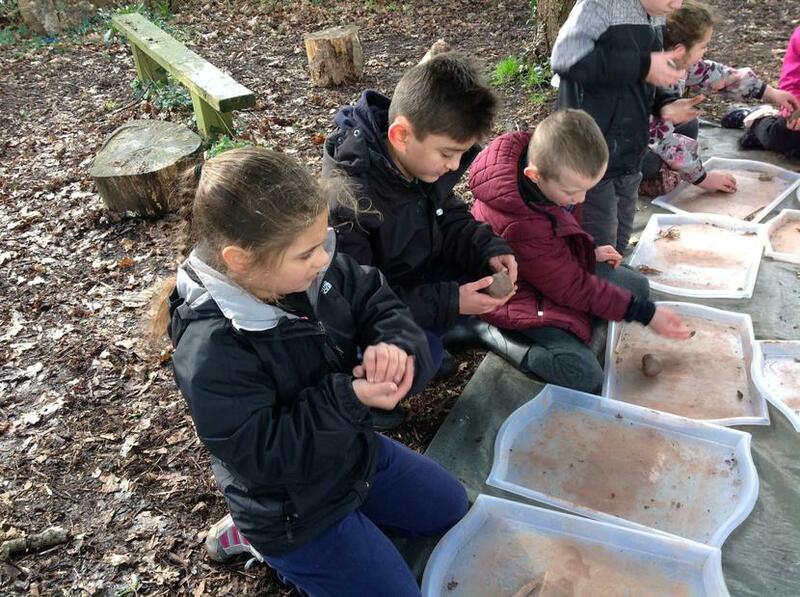 We will be finding out about the different types of rocks there are and what makes them different, how soil is created and why it is important. 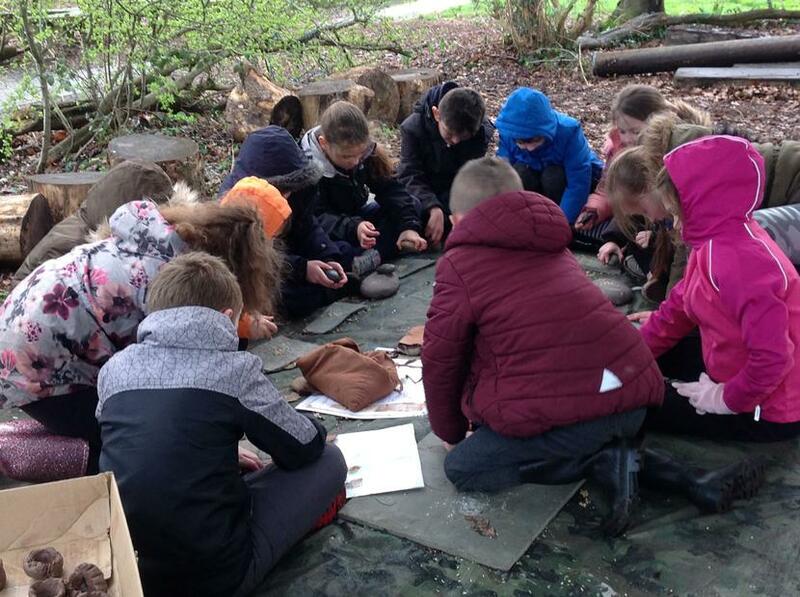 We also delve into the world of fossils, how they are formed and what their uses are. 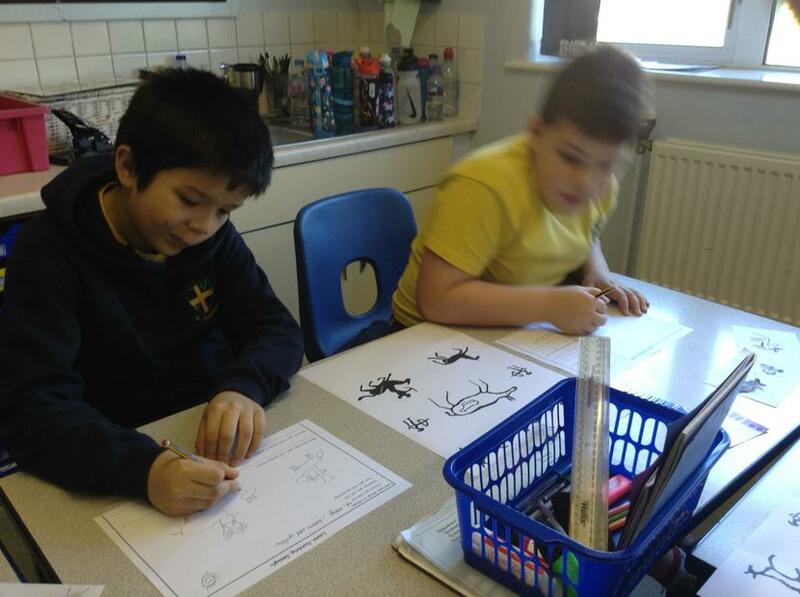 Our challenge this term will be to create our own fossils. As well as this, we will be learning about fractions and using a picture book "The Stone Age Boy" to inspire our writing. 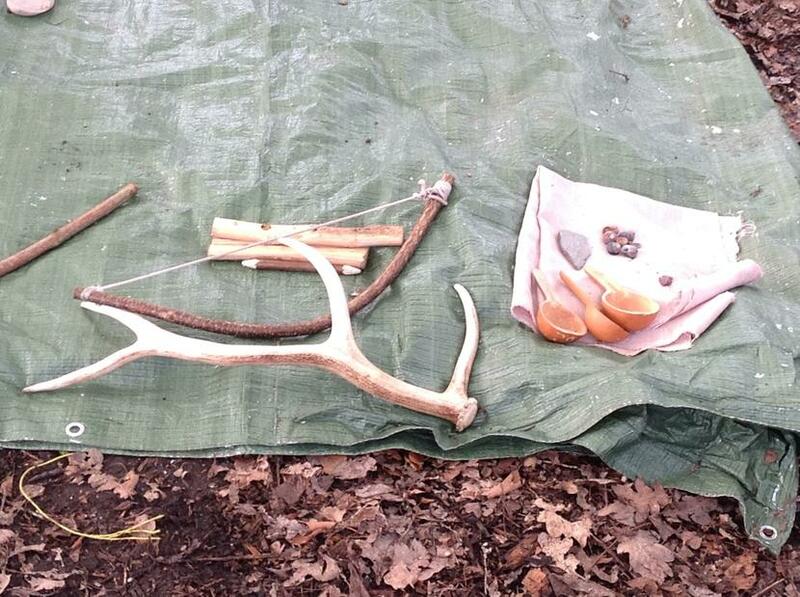 This week we delved into the world of the Stone Age. 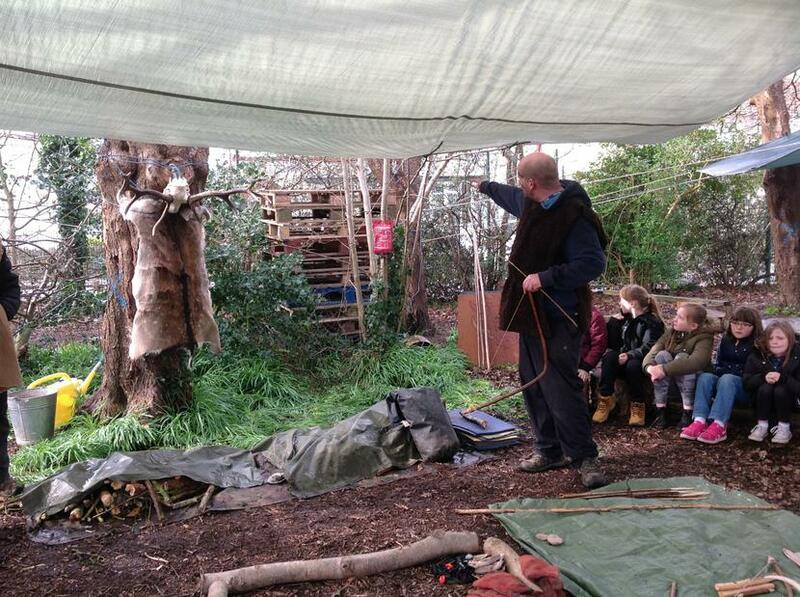 We went back in time and used our historical skills and knowledge to gain a real insight into this period. We started the morning by looking at chronology and understanding what this meant. 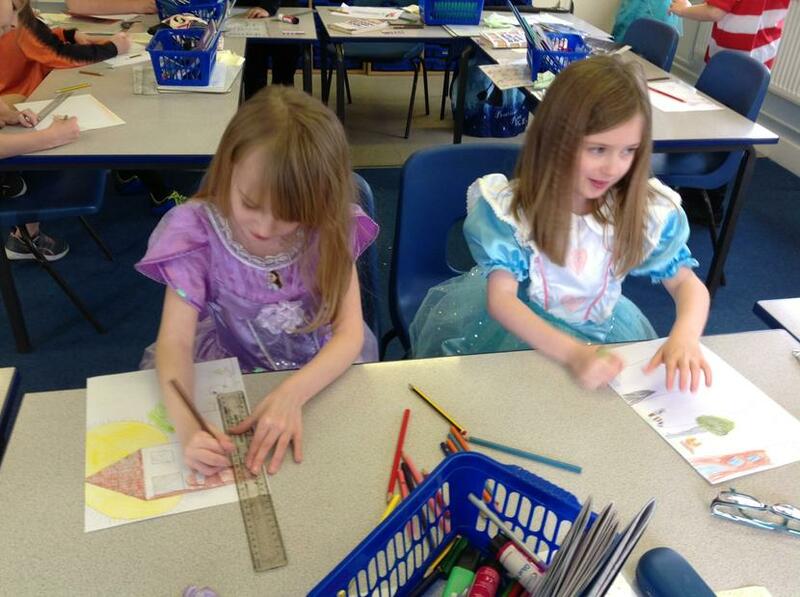 We looked at lots of different timelines and created a timeline of our own lives. 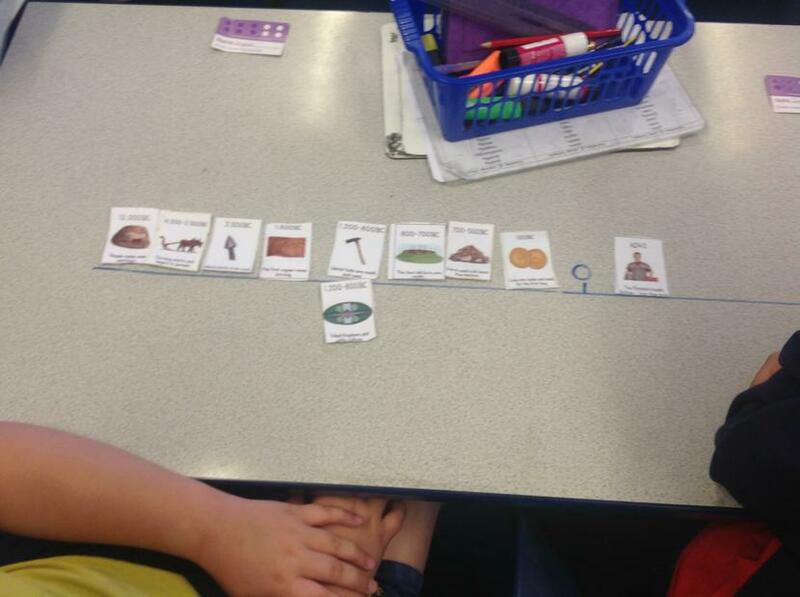 We then looked at the Stone Age timeline which was all muddled up and put it into the right order. We found it fascinating that periods during BC start at the larger numbers and work their way down! 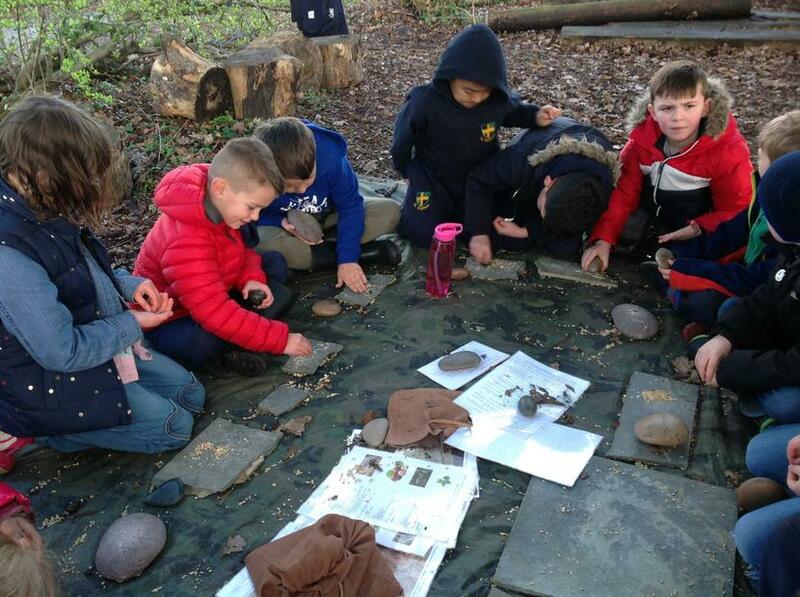 After this, we looked at a range of different sources such as books, poems, diary entries, information texts and websites and researched the question "How did weapons change during the Stone Age?" 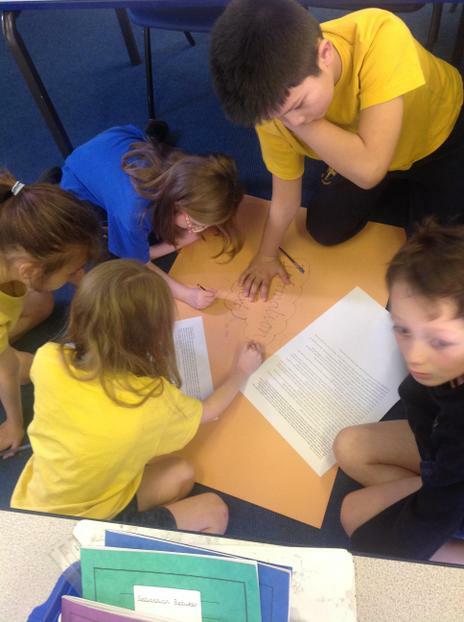 We had to work out which sources were reliable and trustworthy and which ones were not. 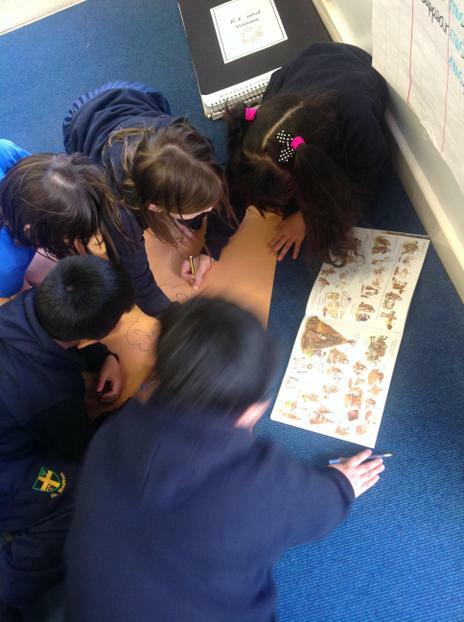 We created a poster to show what we had found. 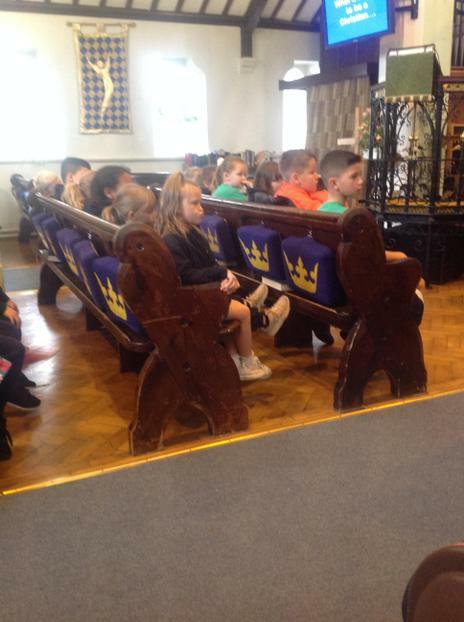 We really enjoyed our history day and cannot wait for the next one! 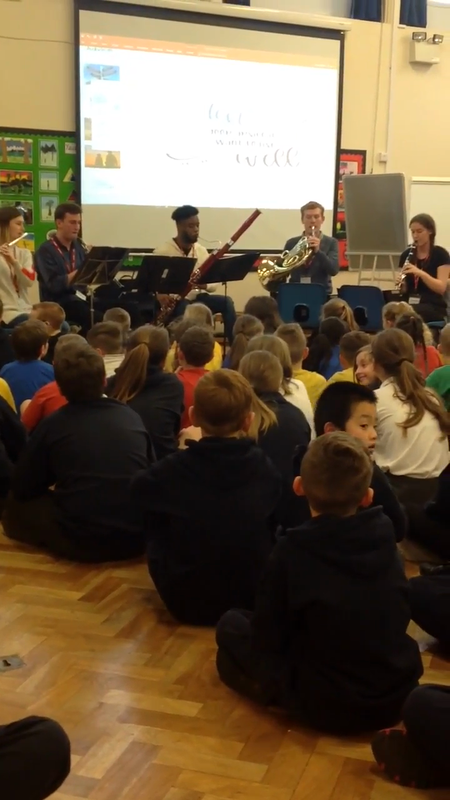 This afternoon, we were lucky enough to be treated to a performance by a group of university student scouts who played different wind intstruments. 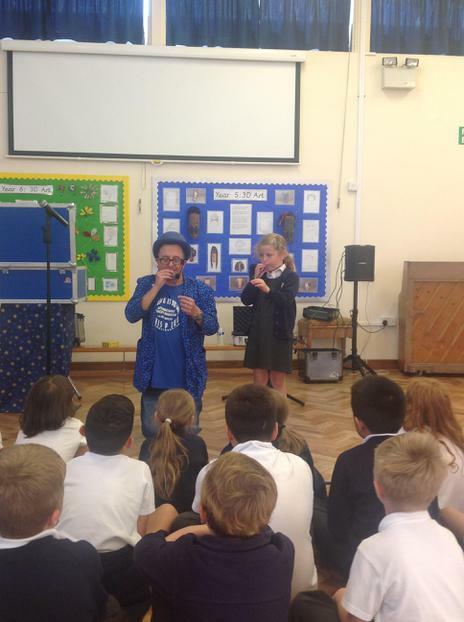 We couldn't believe the difference pitches that the instruments could make and we loved finding out about each one. 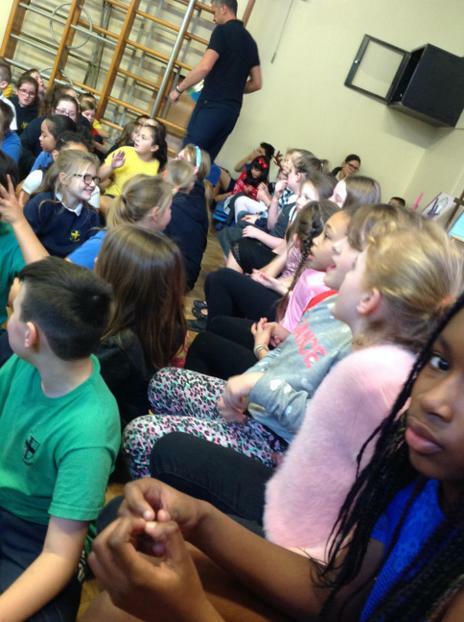 Wow, what a fantastic day we have had! 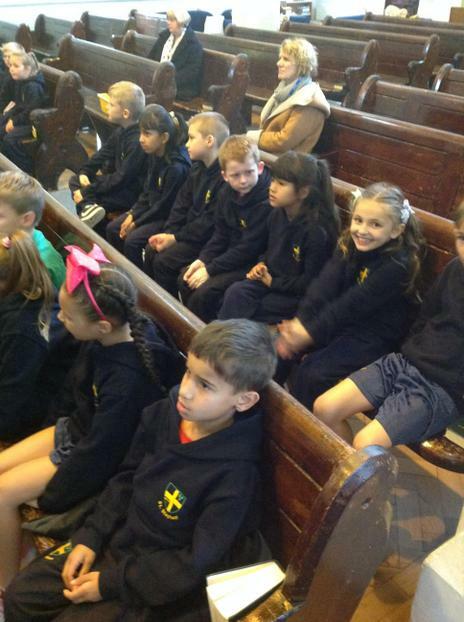 We began our day by listening to a story shared by our teachers at breakfast time whilst we ate delicious croissants. After that, we got to show off our costumes and listen out for our favourite stories during a book assembly. Once we were back in class, our book for the day was revealed. 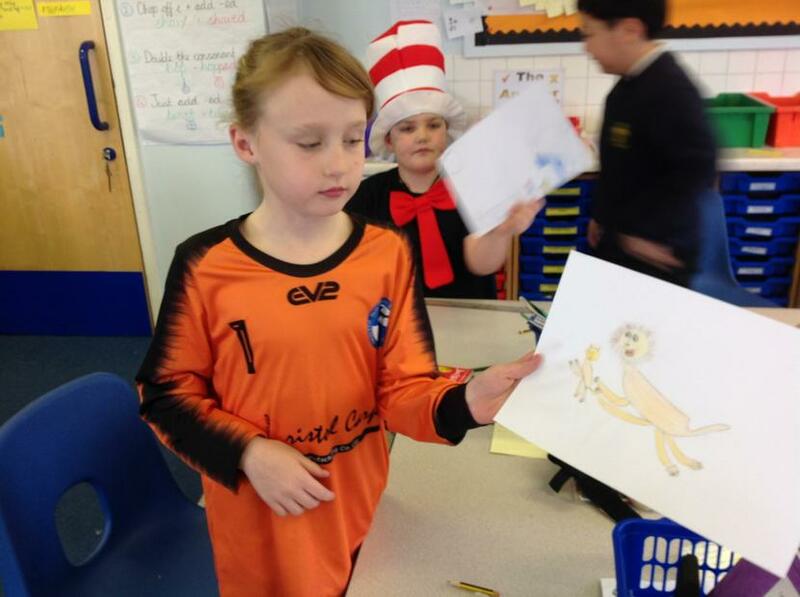 We read 'The Butterfly Lion' by Michael Morpurgo, acting out our favourite parts of he story, predicting what we thought would happen next and sketching our favourite characters. 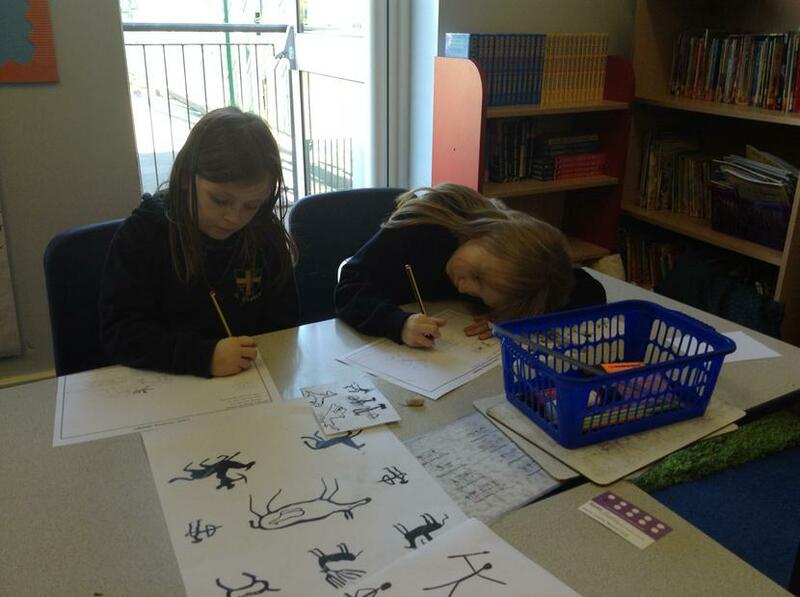 In the afternoon, we continued our immersion activities by studying Africa, the continent where the story was set. We created a decorative map of Africa and had a go at making our own African art! 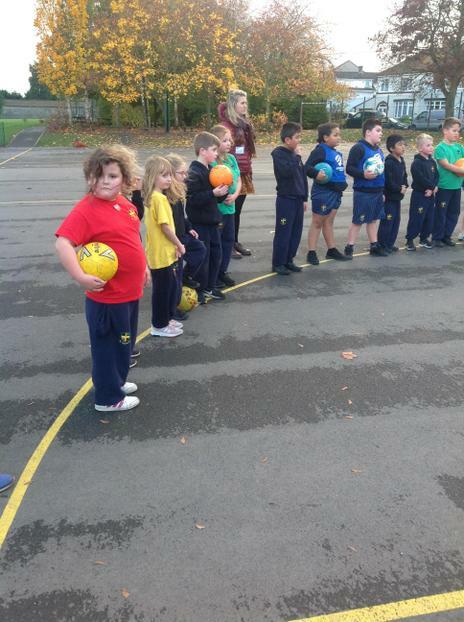 This term, we have Bristol Sport teaching us how to play netball. We are super excited to learn how to play. 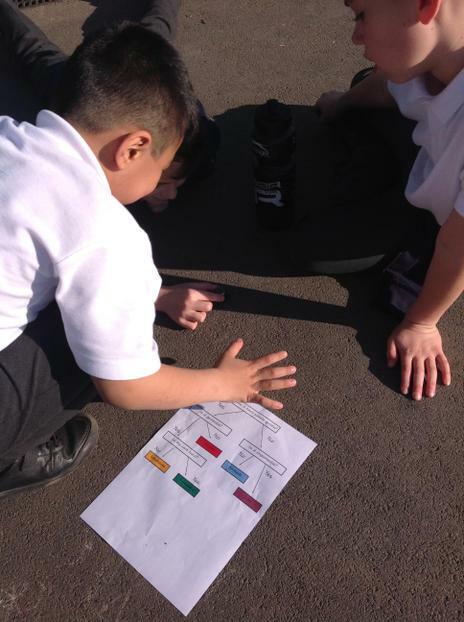 We get to learn new skills every week and at the end of each lesson we get to play a game. 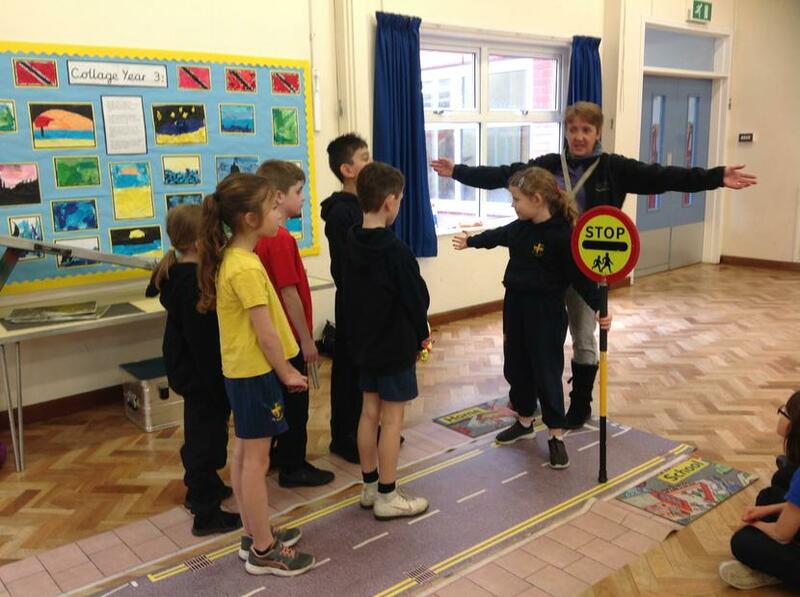 Today we were lucky enough to have a workshop all about keeping ourselves safe on the roads. 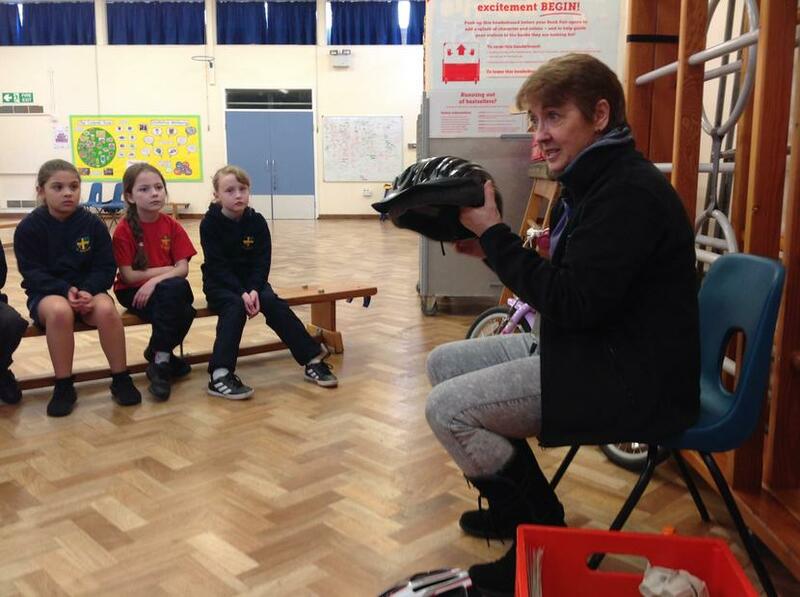 We learnt about 'stop,look,listen', the importance of seat belts, how to safely cross a road, how to keep ourselves safe when riding a bicycle and much more! Welcome to the world of rocks! 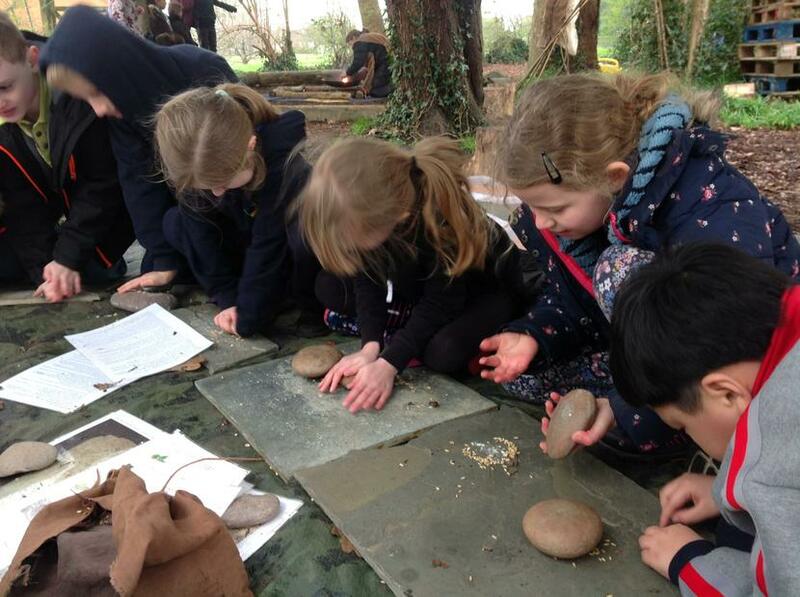 WOW is there a lot to learn about rocks - so much we didn't even know it could be possible. 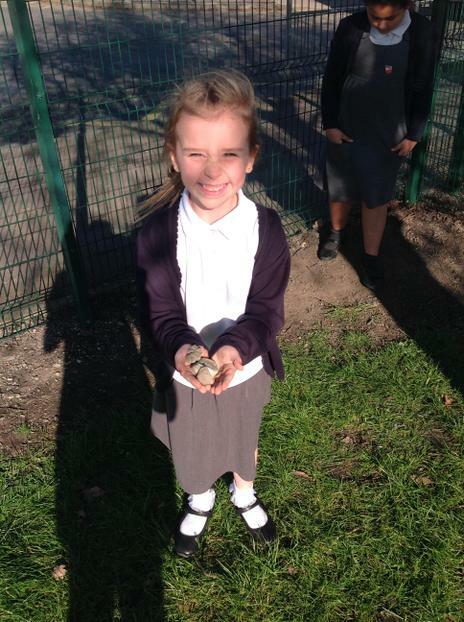 To start our science topic, we went out into the playground to find different rocks. 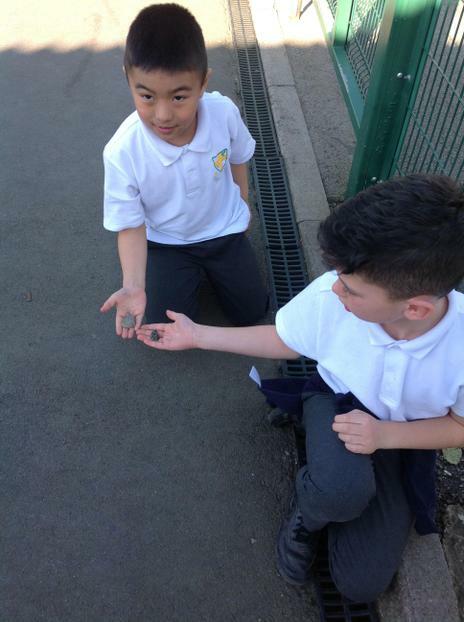 We did this so we could compare and contrast rocks to see what similarities and differences they had. We discussed rock properties and spoke about how rocks differ and what their uses are. 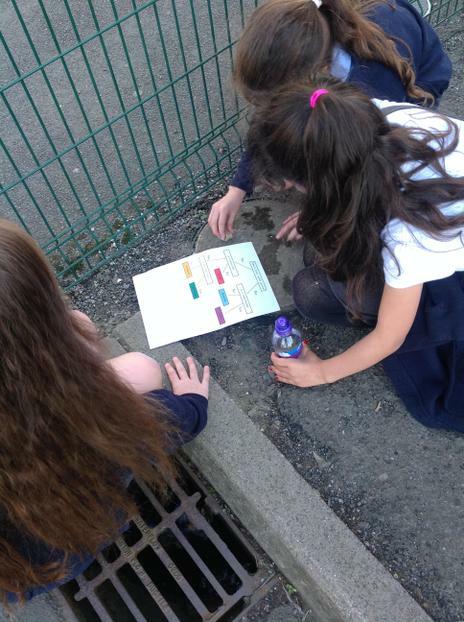 We learned words such as 'permeable' which means lets water run through and 'durability' which means it can last under pressure and for a long time. 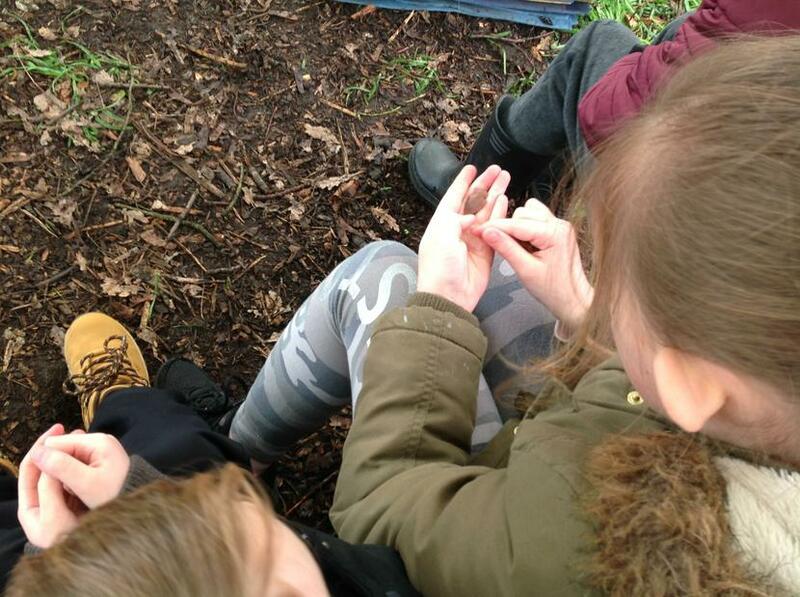 We then tested the different rocks using a tree diagram so we could identify their names. 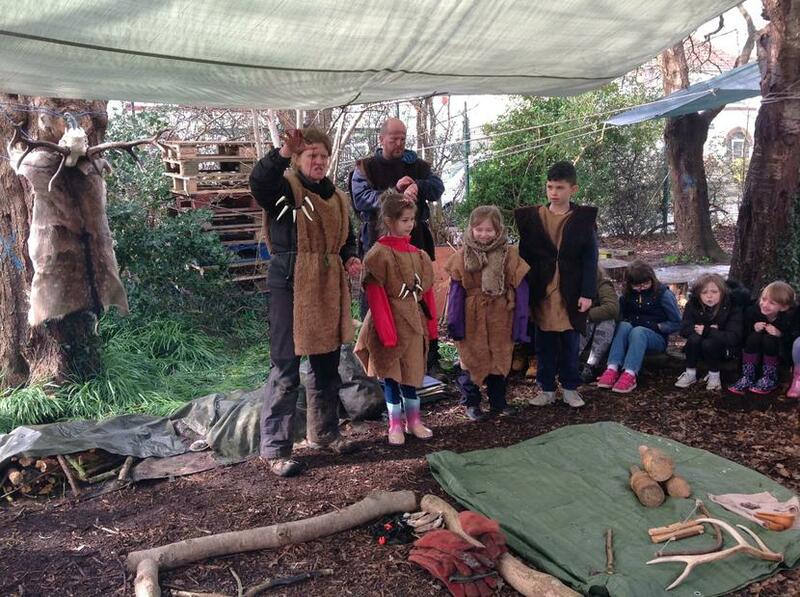 Today we were very lucky to have SG Forest School come in and give us an introduction to the Stone Age way of life. 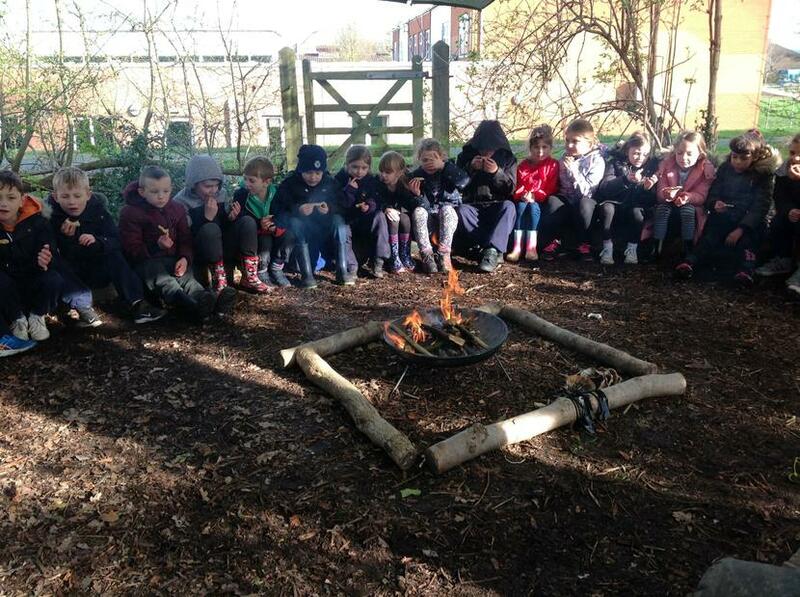 We did lots of different activities such as; den building, making clay pots and even building fires! 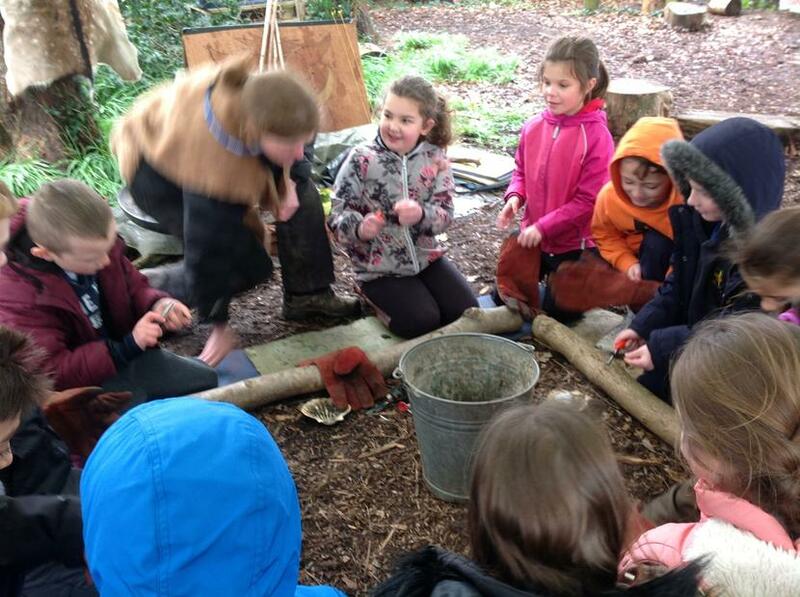 Our favourite part was cooking the Stone Age bread, smothering it in honey and tasting it. 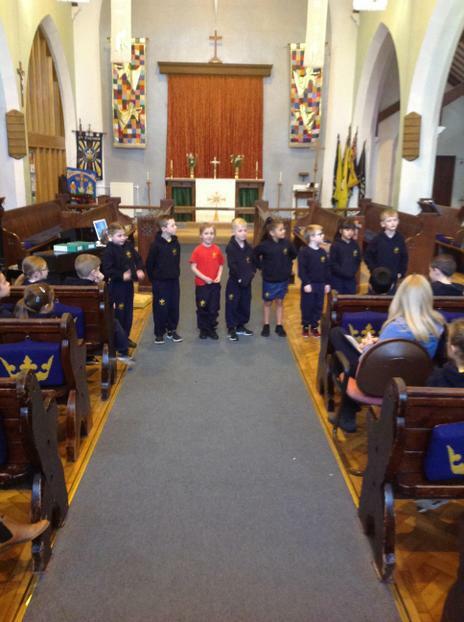 We had lots of fun and learnt so much! 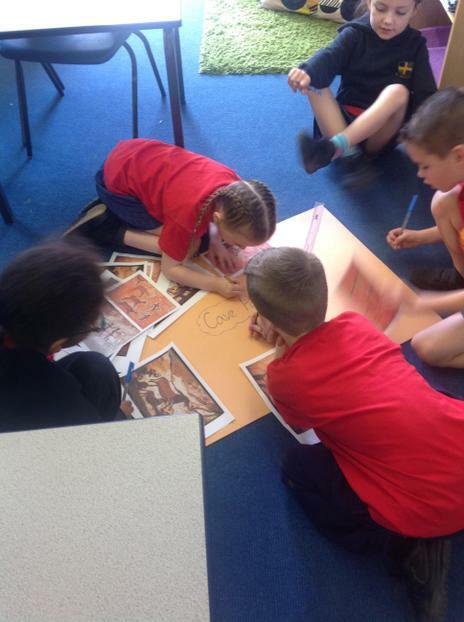 As part of our WOW to immerse us in our new topic of The Stone Age, we began looking at the different paintings that helped researchers to find out about The Stone Age. 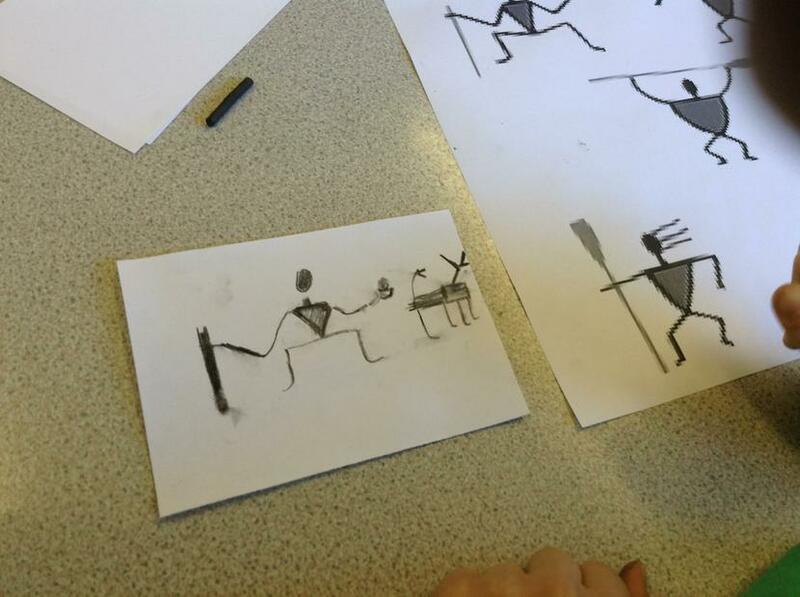 We looked at cave paintings and using printing and charcoal began to create our own. 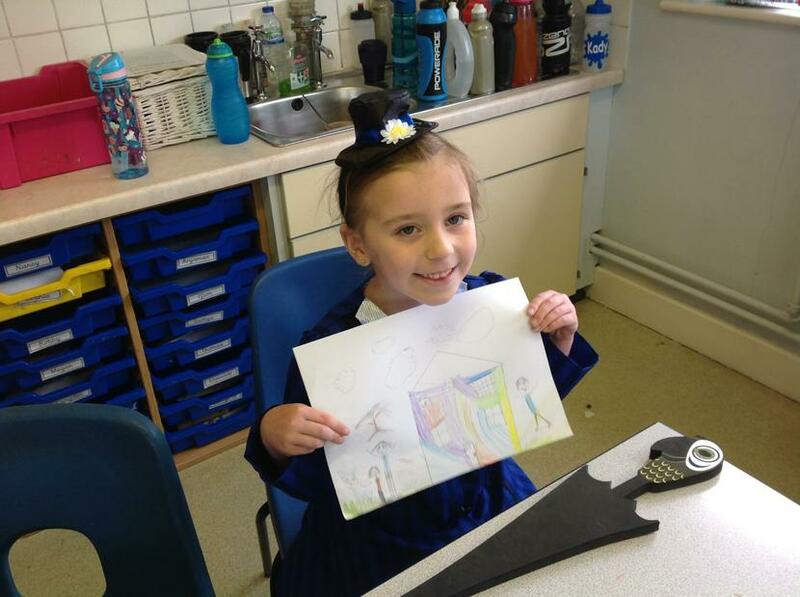 We started by designing our finished art piece to help us when we using the different art techniques. After this, we created our own print design either using cardboard or sytrofoam. 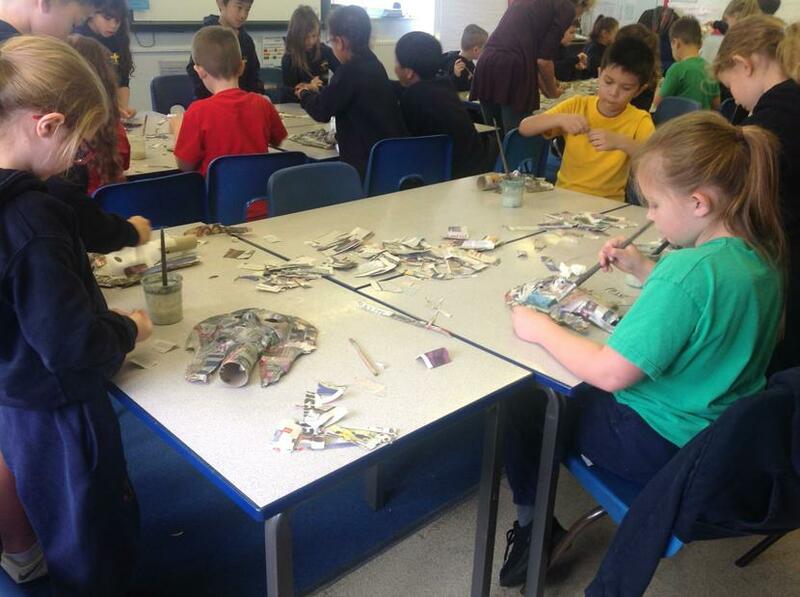 Then we used tea stained paper and our plans of our designs to create our finalised piece. Enquiry Overview: Where is home? 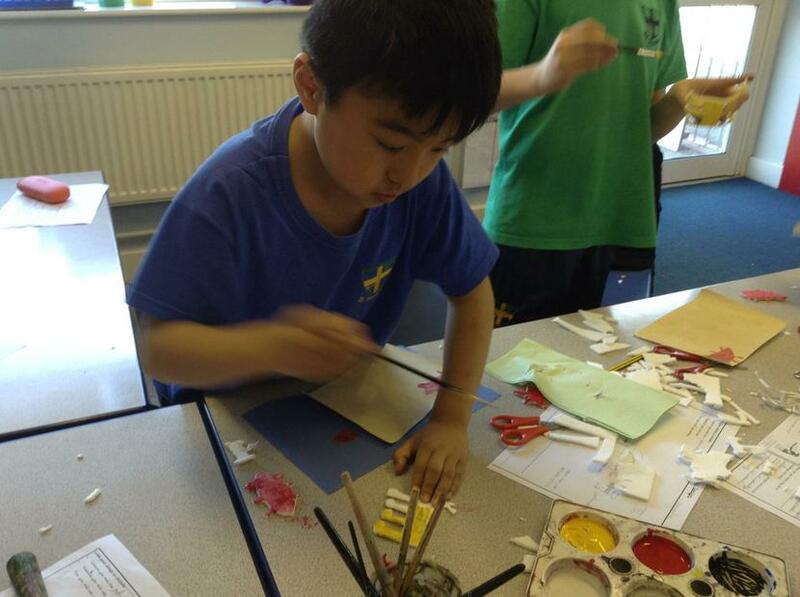 This term, we are going on an exotic adventure to Tobago with Gregory who is living with his grandparents. 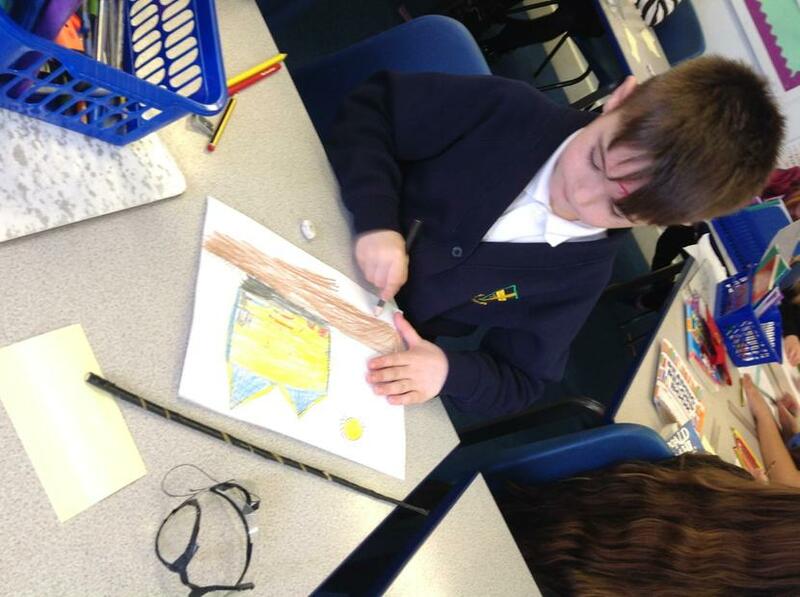 We will be following Gregory's journey and learning all about live in Tobago too. We will be trying and cooking tradition Caribbean dishes, learning all about what life is like in Tobago and exploring the animals and plants that live there. Today we completed our enquiry challenge which was to create our own Vlogs which documented where we thought 'home' was to us and why. 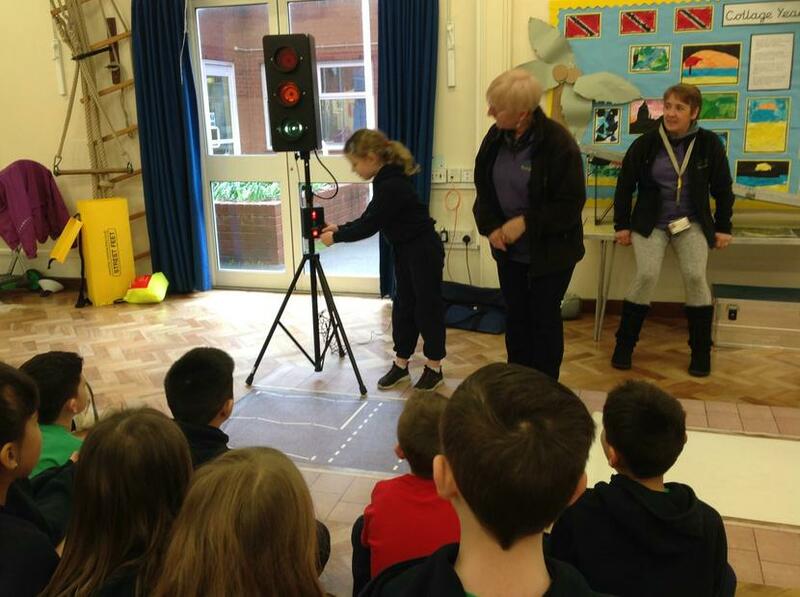 We had great fun using sound and visual effects on our films. 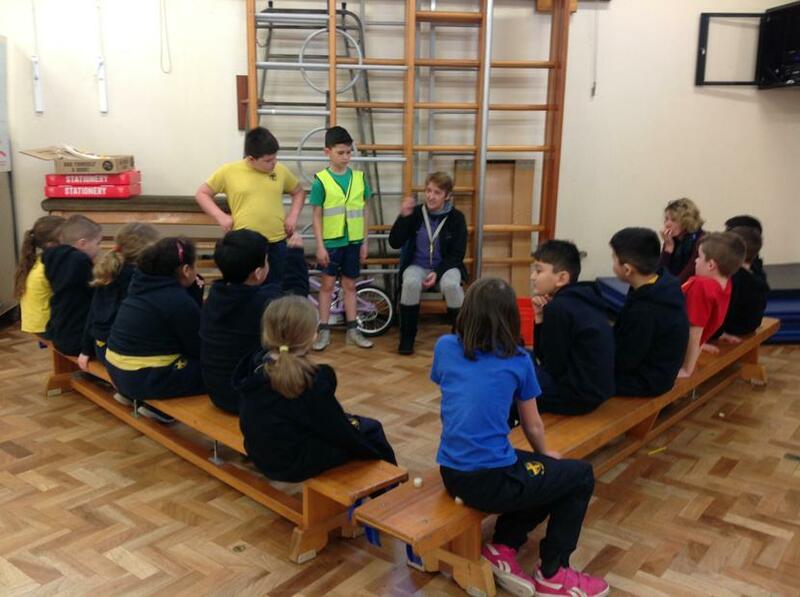 In PE, this term we have been learning how to play netball. We started by learning how to pass using the chest past with our learning partners. After this, we learned how to pivot and throw the ball to our partners. We have been really enjoying our time in netball and can't wait to learn more. 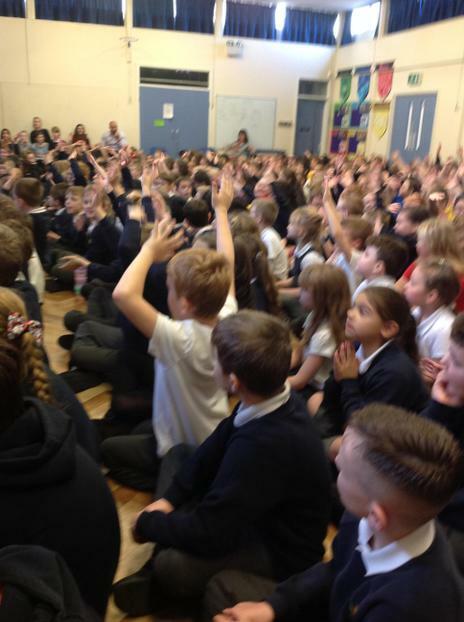 Today was Safer Internet Day and schools across the country took part in a variety of ways. We spent the whole day looking at the terms 'permission' and 'consent' exploring what these mean in our online world. We thought about what we need to do to ask for permission and also how to get consent before taking photos or posting/sharing online. 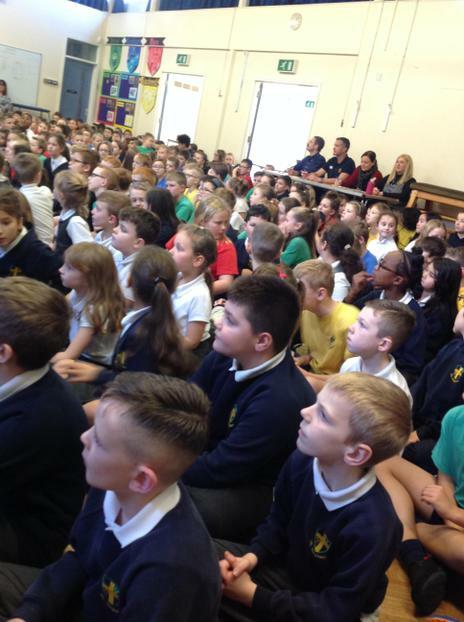 We really hope today has built on the skills that we teach through our Online Safety curriculum- helping us make the right choices to stay safe online. 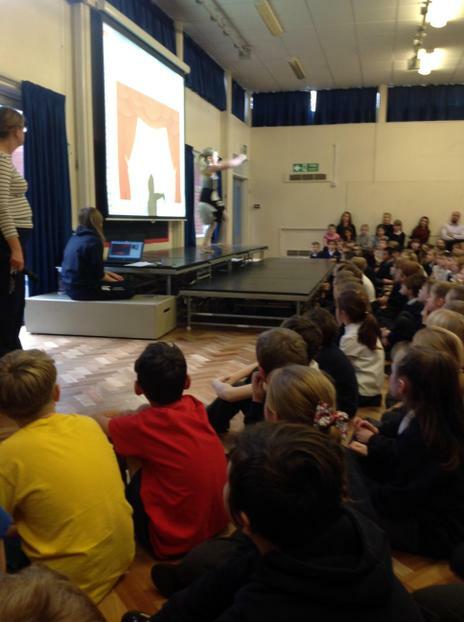 Today we had great fun taking part in our house skipping challenge. 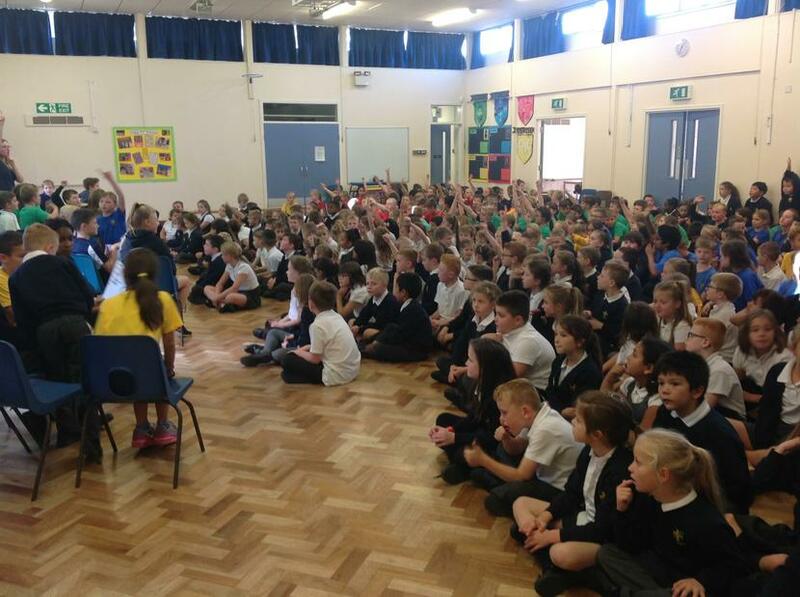 We can't wait to find out who got the highest score and the most points for their house. This week we have been exploring muscles. We have learnt about how they work in pairs to cause push and pull movements and how they are attached to the skeleton. We made our own models of muscle pairs to show contraction and relaxation. To end our work on collage we created our own landscapes of Tobago and London, focusing on how we could use different shades of tissue paper to highlight the key features of each location. 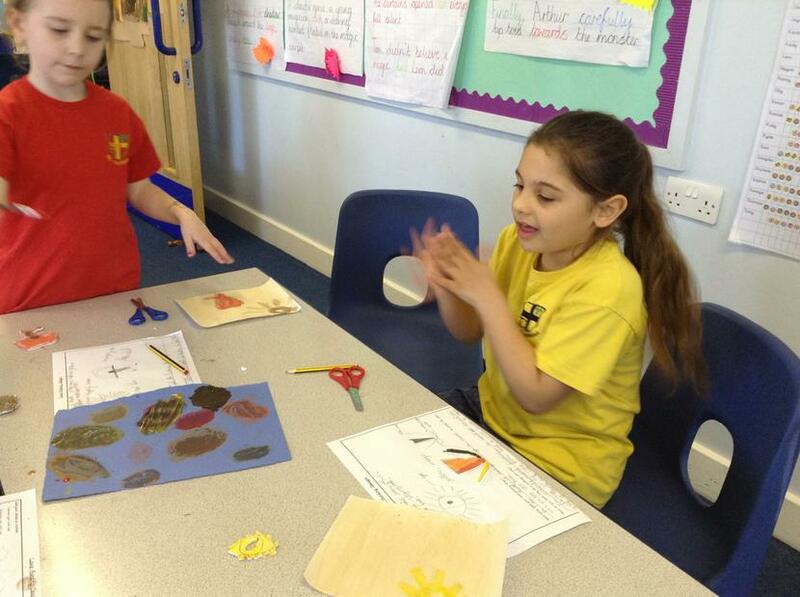 We though about how different both landscapes would look and we decided that Tobago would definitely have more sand! In computing, Miss Lithauer showed us something called 'net nasties'. These are like little monsters which come from the internet and are not very nice. We created our own 'net nasties' and had to write things the 'net nasties' might say to people which are lies. Our heading was 'Ways to keep healthy' and we had to write lies around our net nasty that the internet might try to tell people. 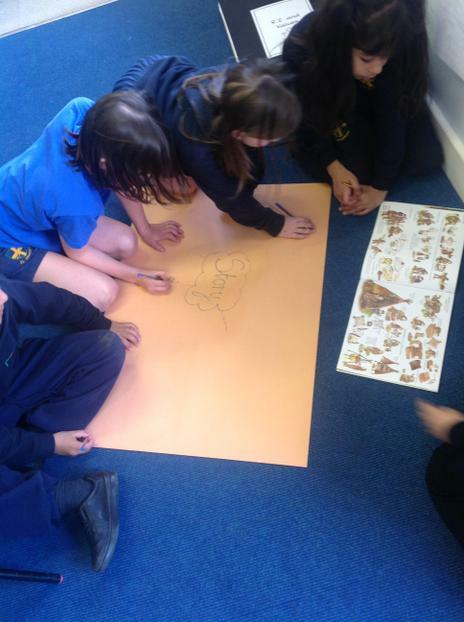 This term in science, we have been looking at animals including humans. 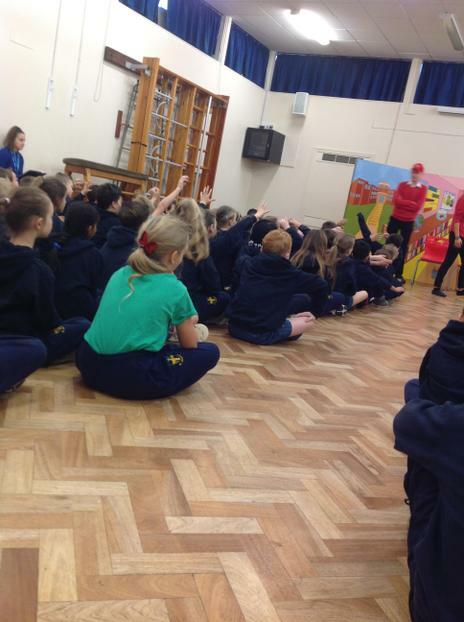 We have been learning about what we need to stay fit, healthy and happy. 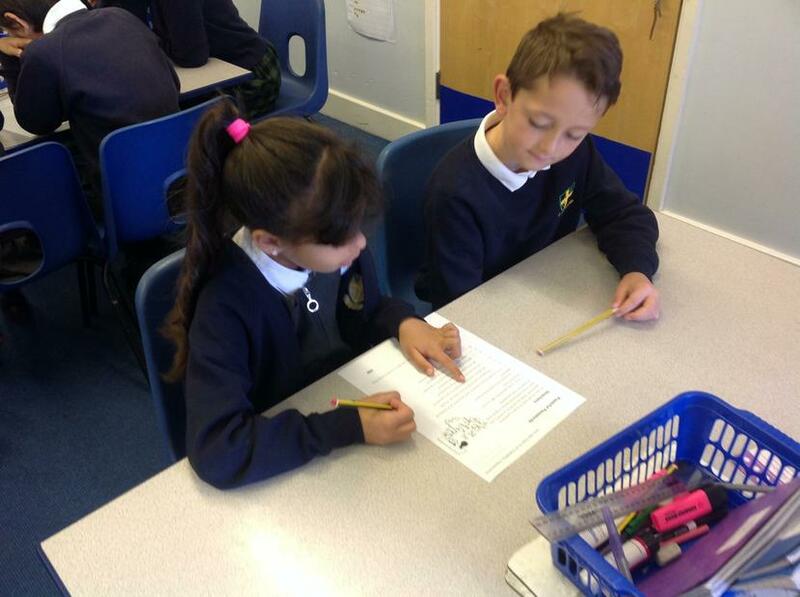 To start our new science topic off, we answered different questions. Some of the words we hadn't heard of before. 'What does nutrition mean? ', 'What do we know about food? ', 'What are the different types of food? ', 'How do we get nutrition?' and 'What is a herbivore, omnivore and carnivore?' We are really looking forward to finding out the answers to these questions. We have enjoyed ourselves so much today! 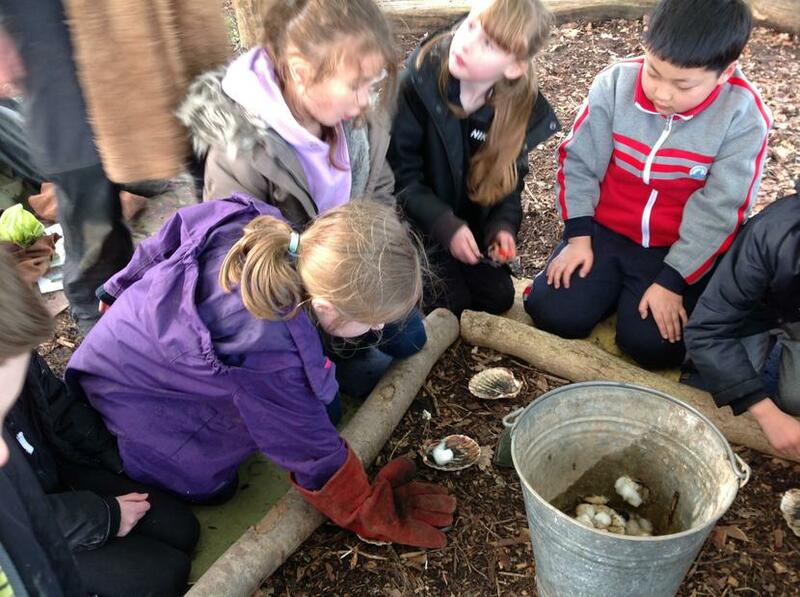 To immerse ourselves into our new topic 'Where is home? ', we took a look at the front cover of our new book. Miss Lithauer asked us to think about where we think the book is set. From the picture of the beach we thought it must be somewhere hot. We found out our book is set in a place called Tobago which is in South America. It looks absolutely beautiful. We cannot wait to learn more about it. 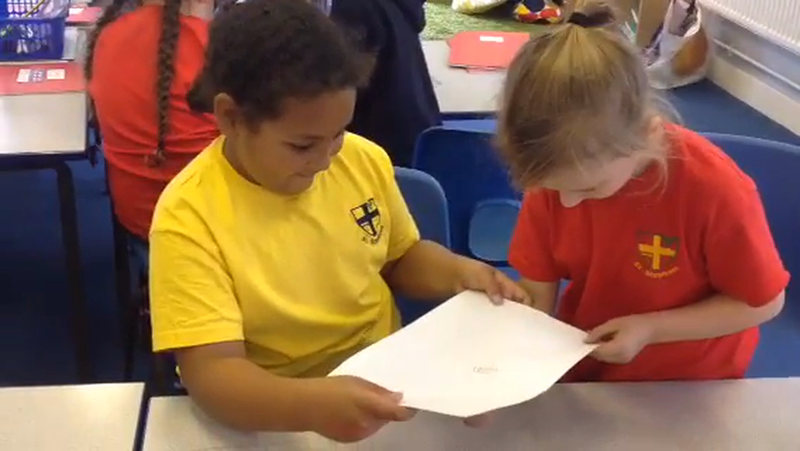 We had a look at a world map and found Tobago - it is so tiny! After this, we tried lots of different foods from Tobago. We tried Jerk chicken, rice and beans, coconut water, plantain chips and flat bread. 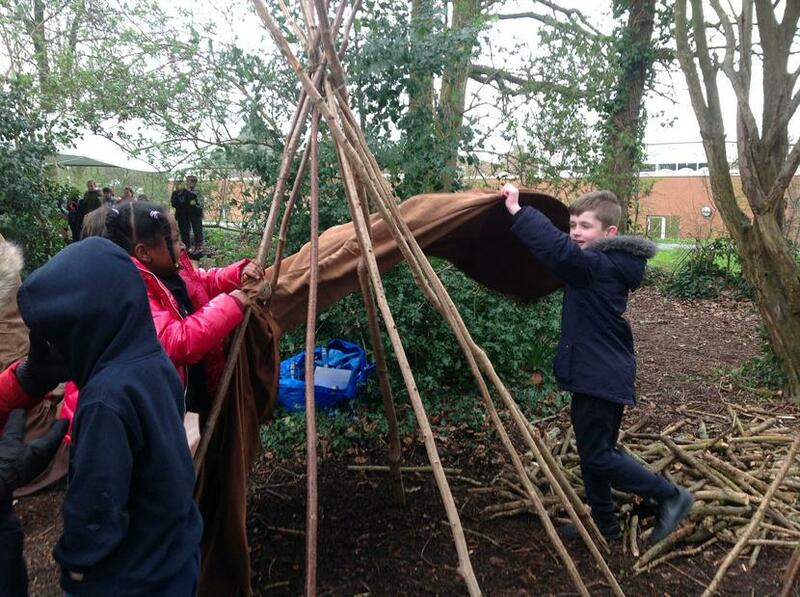 Some of us loved it and some of us weren't so keen but we all gave it a try. We then gave the food a mark out of five. Some of us have definitely broadened our taste buds! We then cooked our own food and made rice and beans. We used onions, coconut milk, rice, kidney beans, thyme and water. This was so exciting but we had to make sure we were sensible when we were cutting the onions. Take a look at some of our pictures of our amazing day in Tobago. 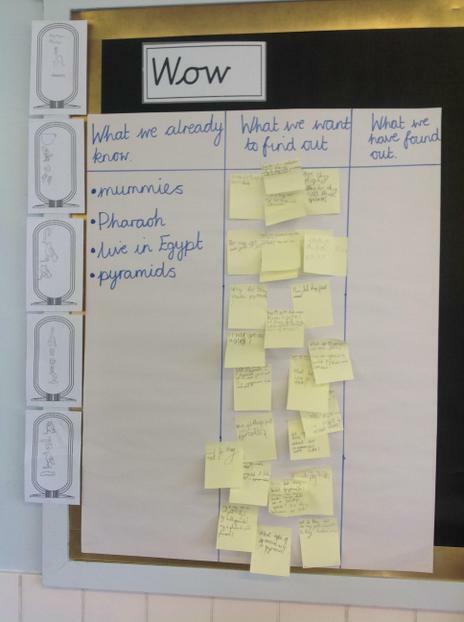 Enquiry Overview: What are mummies and how were they made? This term, we will be travelling back in time to Ancient Egypt in a Power of Reading text called "Marcy and the riddle of the Sphinx." We will be following the ancient journey of Marcy on her quest to free her father from the Sphinx, writing about and creating our very own Egyptian artifacts along the way. 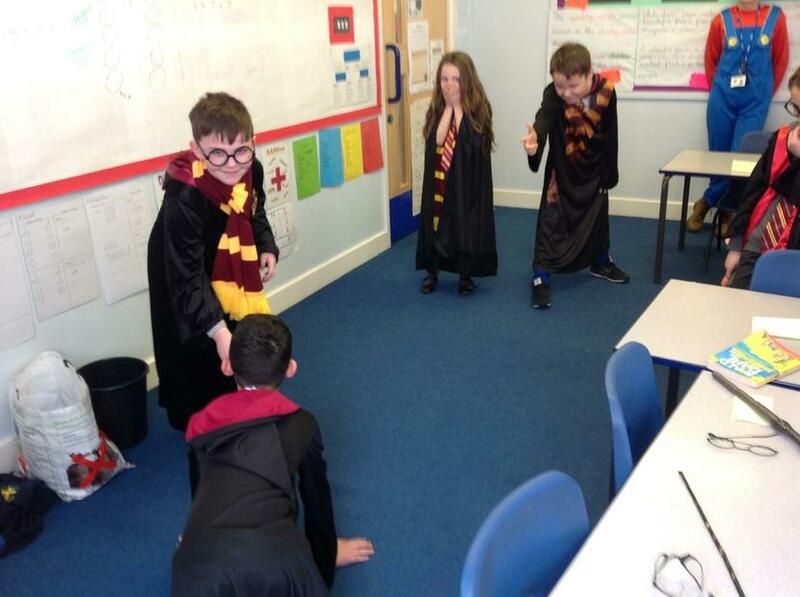 As well as this we will be role playing, hot seating and freeze framing many characters and scenes from the book. We will also be learning how to use speech marks and adjectives. 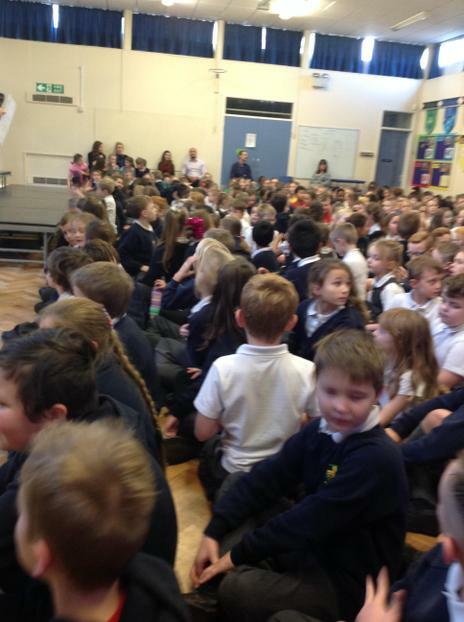 What a fantastic afternoon we have had watching our fantastic talent show filled with our very own talented children! 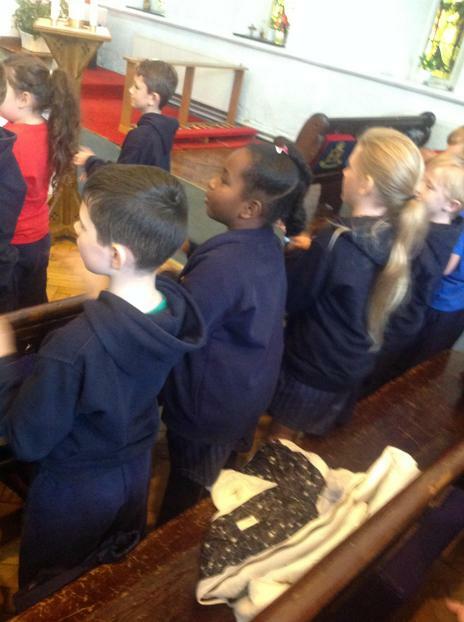 This term we are exploring what it means to be a Christian in Britain today. 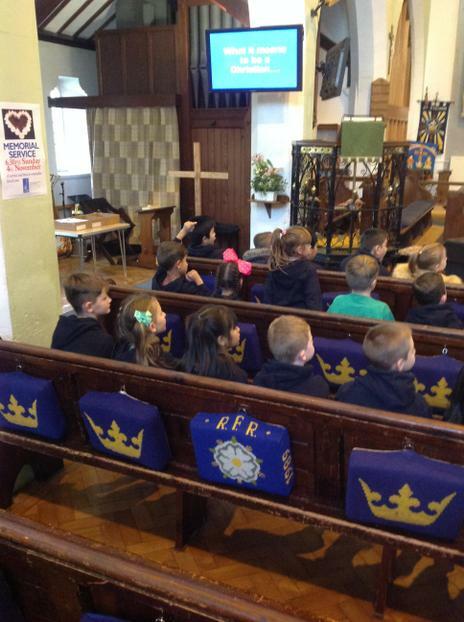 To start our topic we watched Nativity 3 to gain an insight into the true meaning of Christmas to Christians. 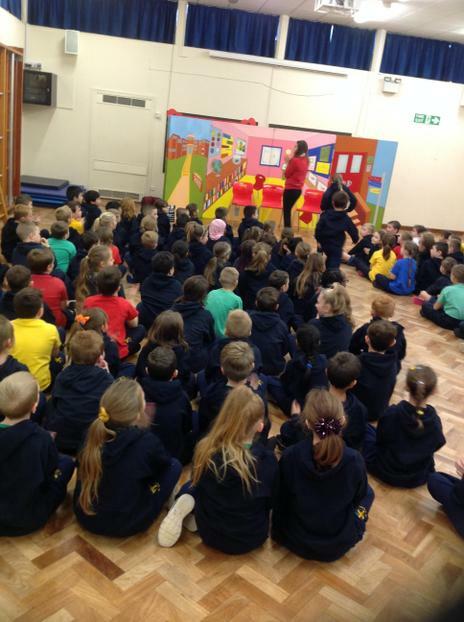 This week, we have been focussing on anti-bullying. 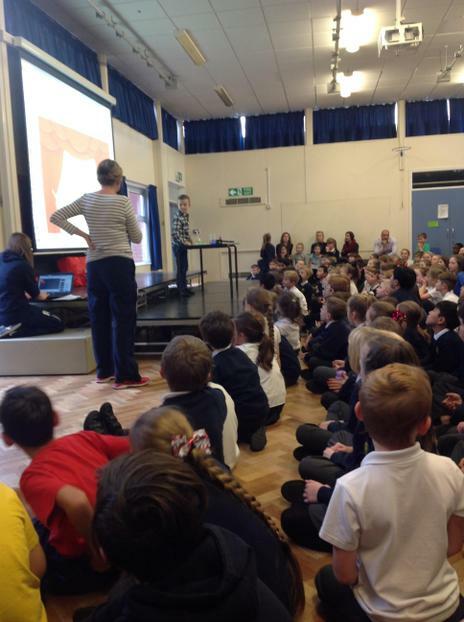 We have thought about what bullying is, how it makes people feel and how it can be prevented. 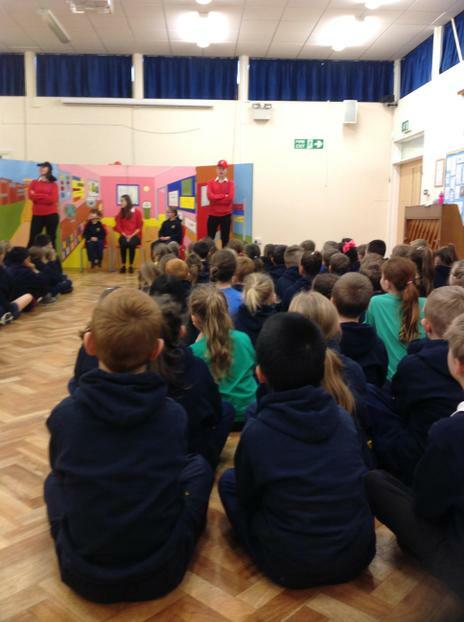 As well as learning in class, we were lucky enough to have a production about bullying called A Bully's Paradise. 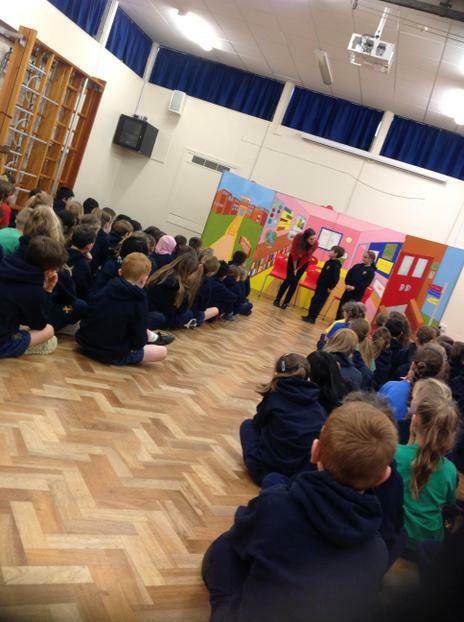 We really enjoyed watching this production and we thought it contained lots of important messages about bullying. This week, we have been trying out new foods. We understand the importance to eat as healthy as we possibly can to look after our bodies and it's also great to try out new things. 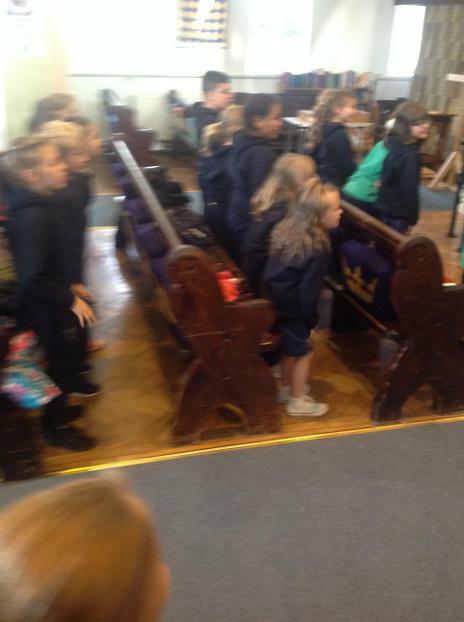 We went into the dining hall to try new things that would go onto our school dinner menu. We had a Quorn sub which was amazing, mash potato with leek and onions sprinkled with breadcrumbs and a chicken curry. Then for desert we had a banana sponge cake with custard. We were so surprised that these meals were all healthy yet tasted so yummy! We cannot wait for these to appear on our dinner plates! This week, we created our very own death masks. The Egyptians created death masks when a pharaoh died to place over the top of their face. They were made from golds, silvers and blues and were very grand. 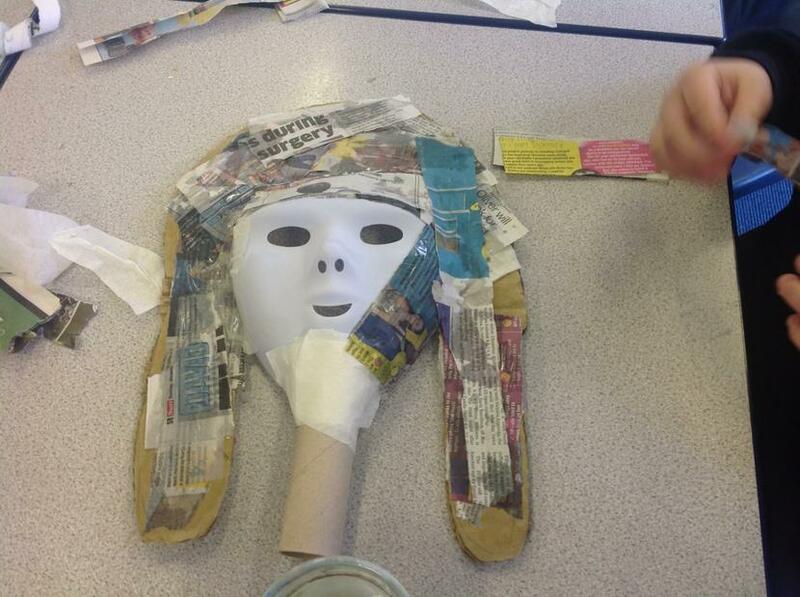 To create our masks, we drew around the mask to make the headband for the death mask. Next, we cut the template of our masks out. 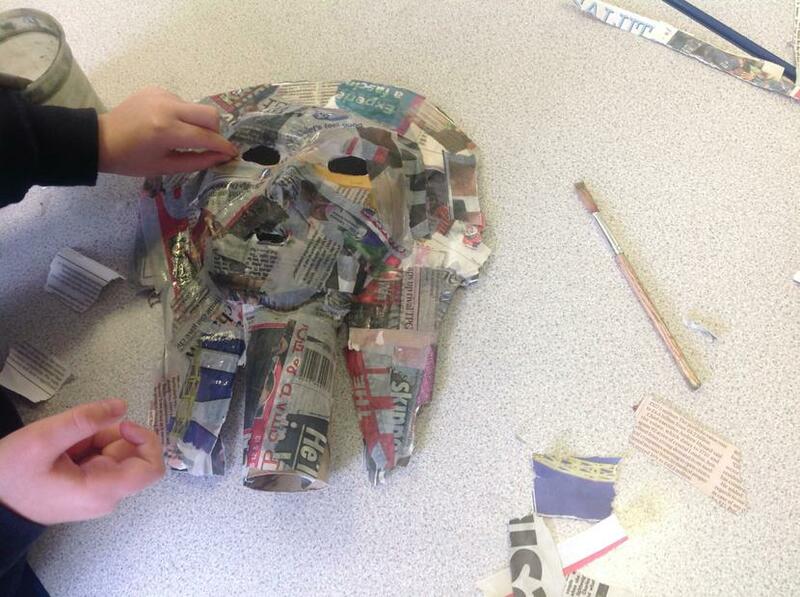 Then, we cut out the centre and used masking tape to stick the mask into the middle. After this, we cut a slit into a tube of kitchen roll to stick under the chin to make a beard. Now for the messy part! 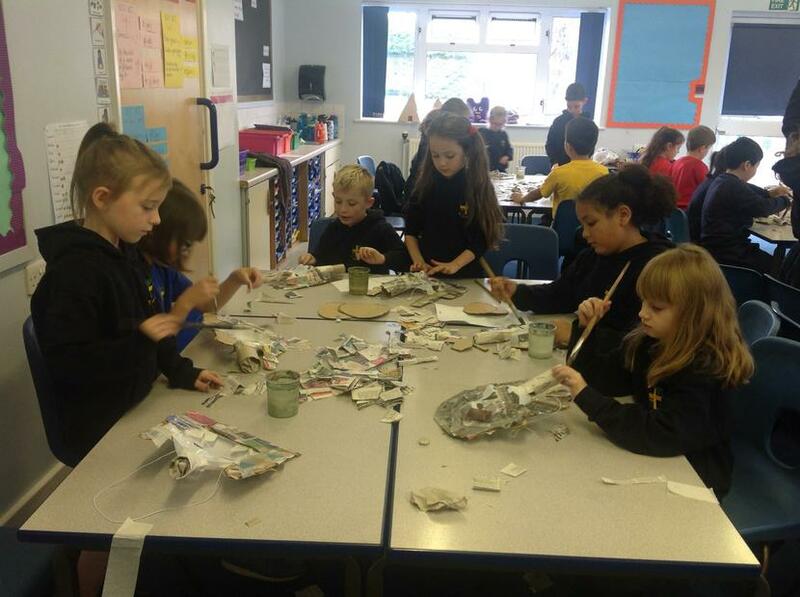 We used papier mache to cover the whole mask and then we had to be very patient and wait for the mask to dry. We can't wait to paint them! Come back soon to see our finishing products! Who knew maps could tell us so much! Today we looked at lots of different maps and then we really focused on the keys. We learned that keys show us symbols to help us locate places or things on a map. We used our atlases and the keys to find out the capitals of lots of different countries. A capital city is usually represented by a red square. 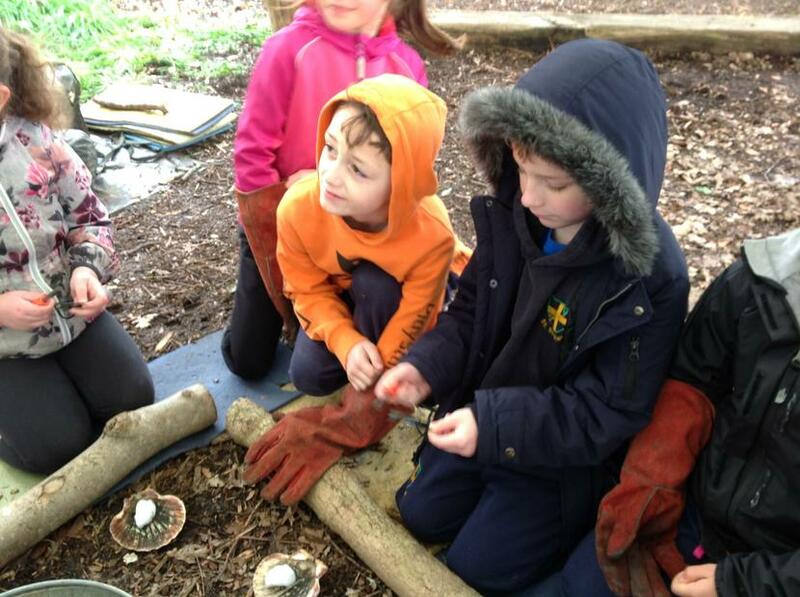 We also learned that there are man-made and physical parts on a key. The physical parts on a key are things such as rivers, lakes and mountains. Man-made symbols on a key are things like airports, country borders and capital cities. After this, we used the key to help us identify the capital city of Egypt, the River Nile, El Giza (where the famous pyramids are) and the airport. 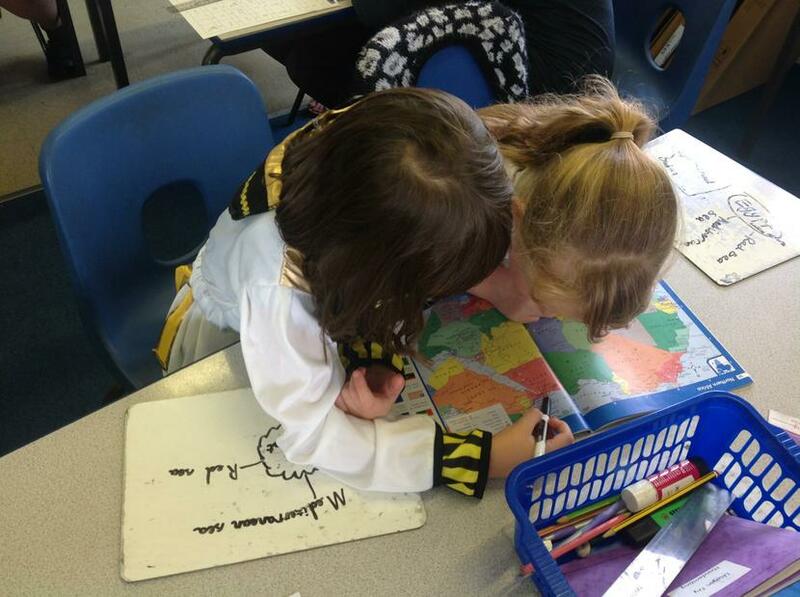 We really loved looking at maps and cannot wait to look at more! 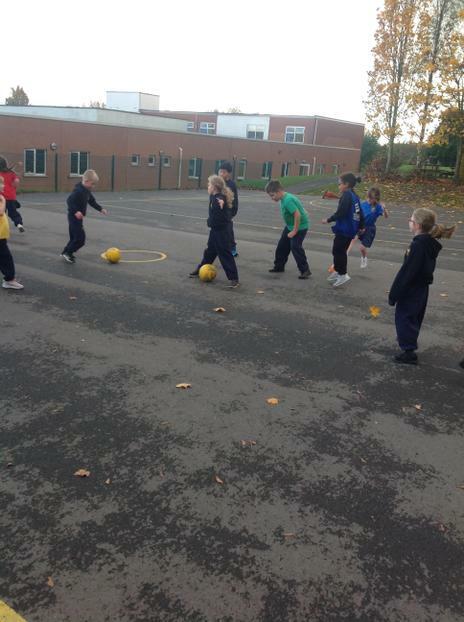 We are so fortunate because we have Bristol Sport teach us football on a Tuesday during our PE slot. 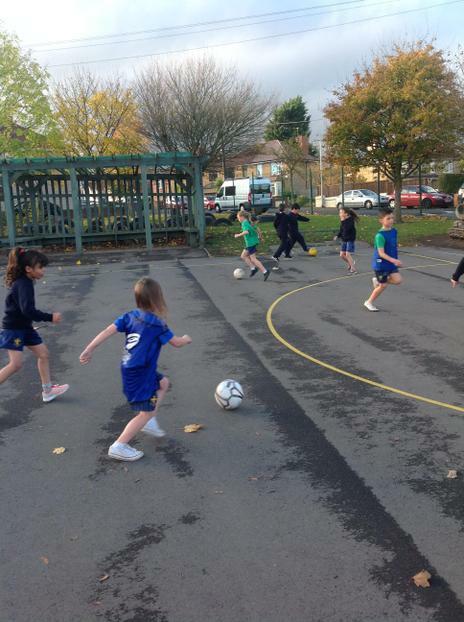 In our first lesson, we learned how to dribble the ball and control the ball with the side of our foot. 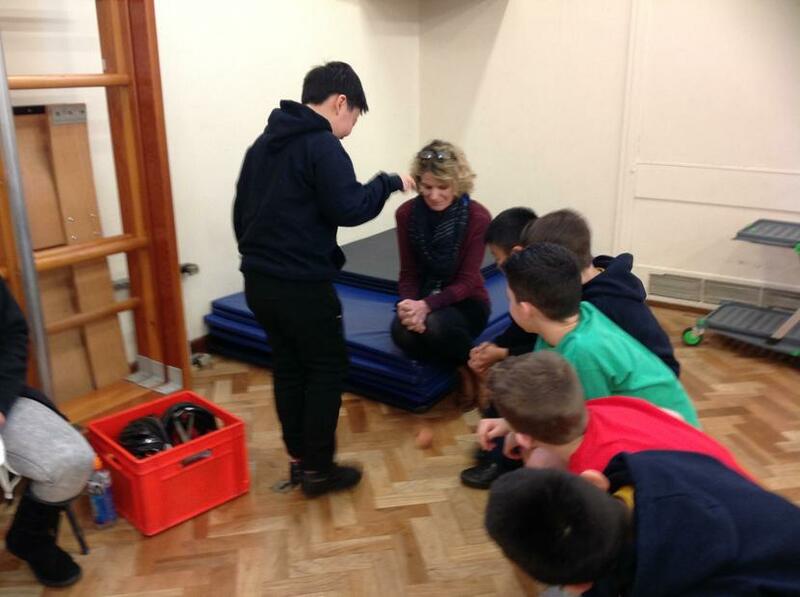 We also learned how to stop the ball but placing our foot on top of the ball. The coaches spoke to us about controlling the footballs so they weren't rolling around the playground and not being kicked at full pelt when we were playing with our friends. We played lots of games like stuck in the mud but with a football. 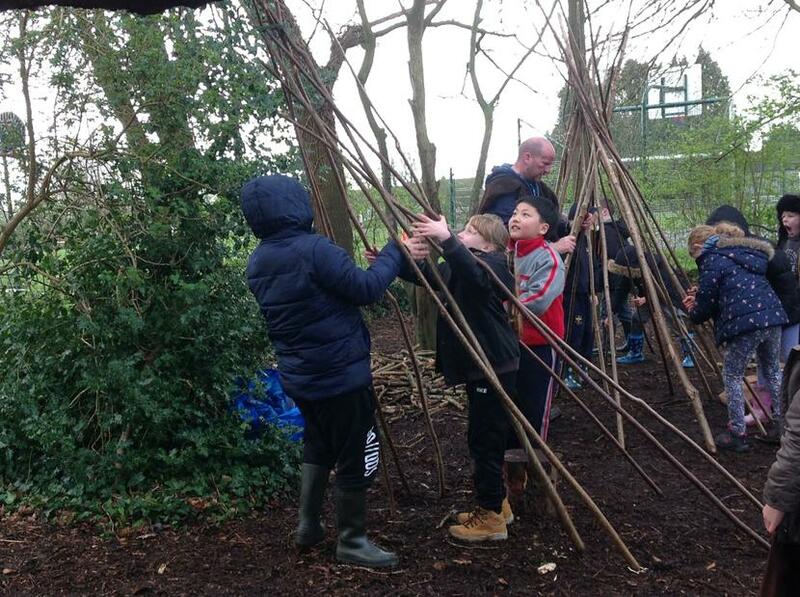 That was quite tricky but we really enjoyed ourselves! Oh my goodness! What amazing costumes, there were so many golds, blues and silvers. Everybody looked amazing. People were dressed up as pharaohs, mummies and shepherds. In the morning, we watched the Prince of Egypt to immerse ourselves into our Ancient Egypt topic. 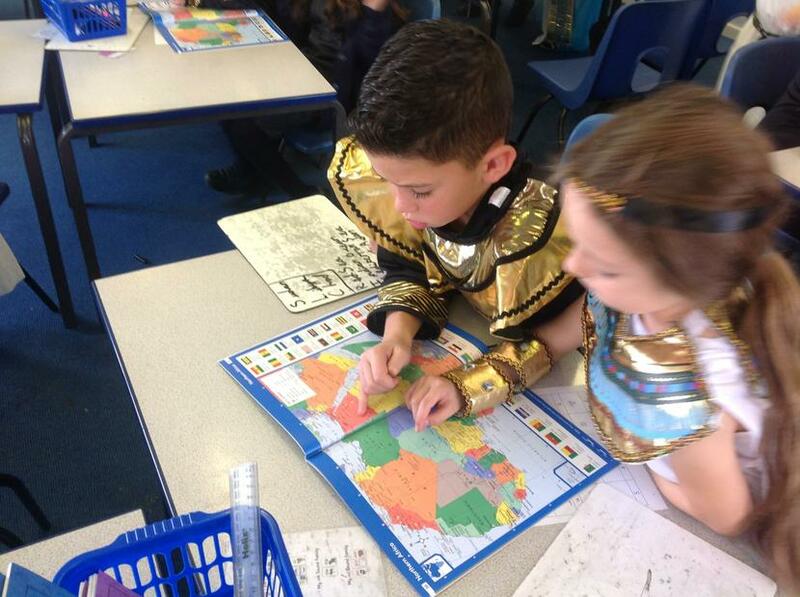 After that, we came back to class and we used Atlases to find out where Egypt is, what the capital city is and the famous river that runs through Egypt. Did you know the River Nile is the longest river in the world? 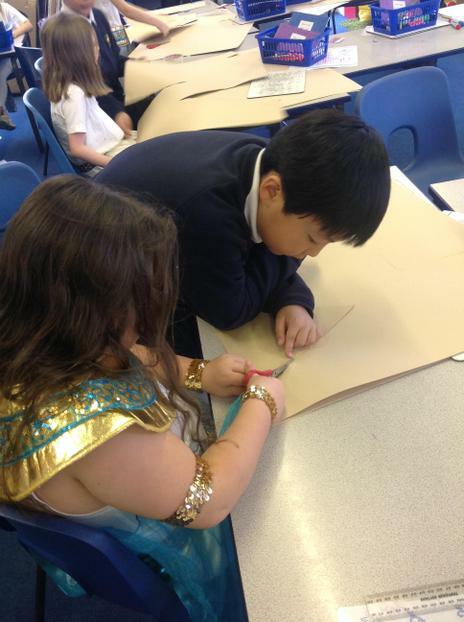 Then we looked at the Ancient Egyptians writing. These are called hieroglyphics. They used pictures to show letters instead of symbols. We wrote our own names on a cartouche which is a carved tablet. 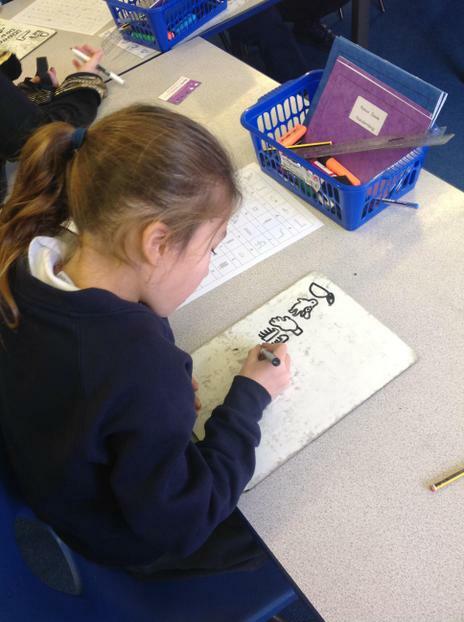 It must have taken the Egyptians so long to write - some of the pictures are quite hard to draw. After lunch, we worked in teams and had to make a 3D pyramid. 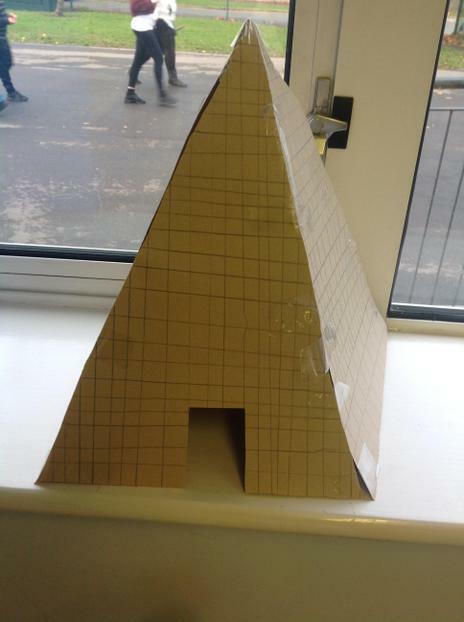 Our pyramid had to stand on its own, had to be taller than one of our whiteboards and had to stay standing after it was gently blown. It was quite difficult but we persevered and made great pyramids! 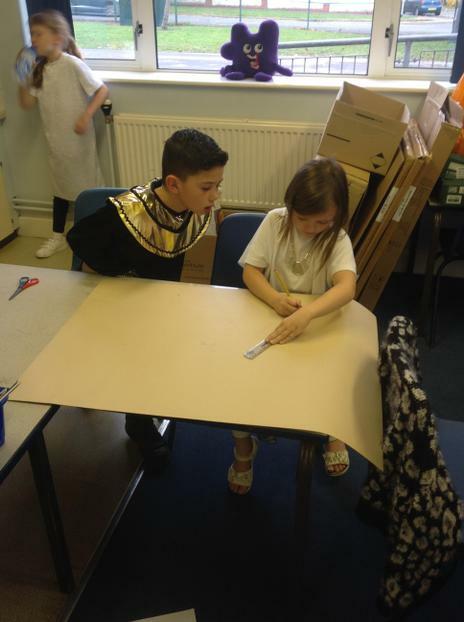 We had such a fun day and cannot wait to learn more about Ancient Egypt. 3GL will have outdoor PE on Tuesday and indoor PE on Thursday. Enquiry Overview: What is the place between? Enquiry Overview What is the place between? This term, we will be immersing ourselves into a Power of Reading text called "Leon and the Place in Between." 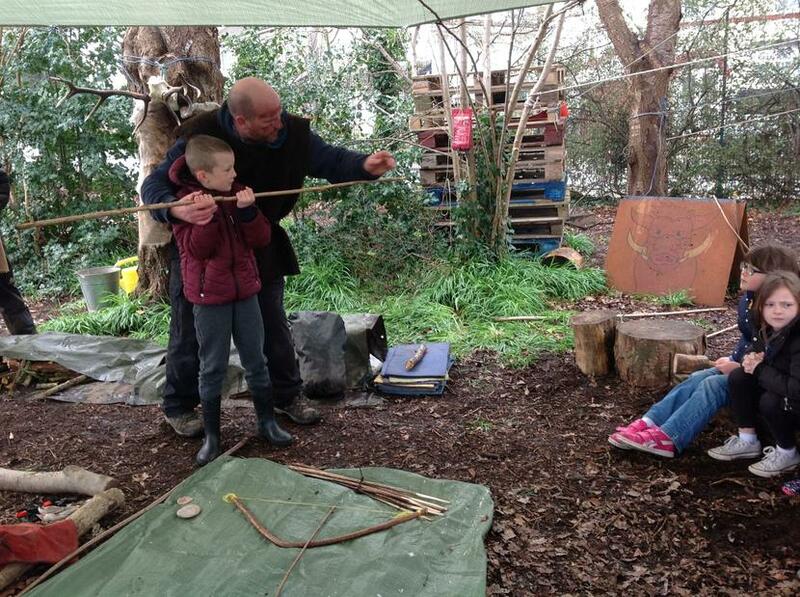 We will be following the magical journey of Leon, writing and creating our very own place in between. 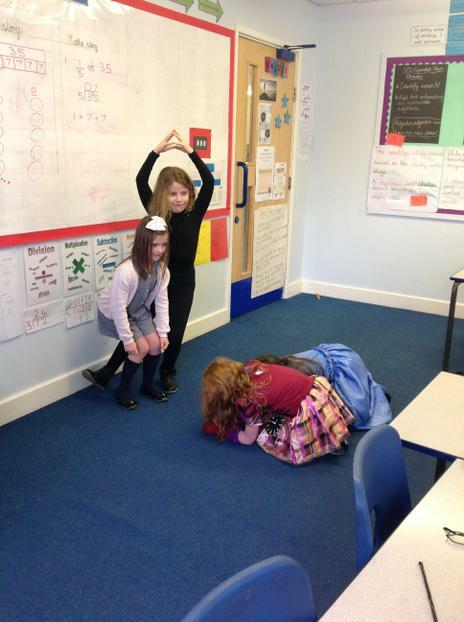 As well as this we will be role playing, hot seating and freeze framing many characters and scenes from the book. We will be learning how to use noun phrases and commas in a list and inverted commas! 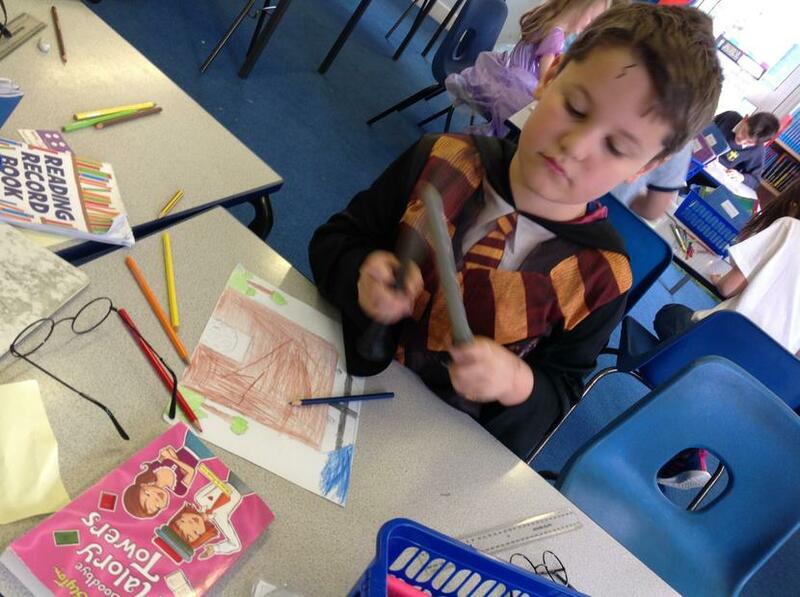 Today we completed our enquiry exploring Leon and The Place Between by creating our very own Place Between! 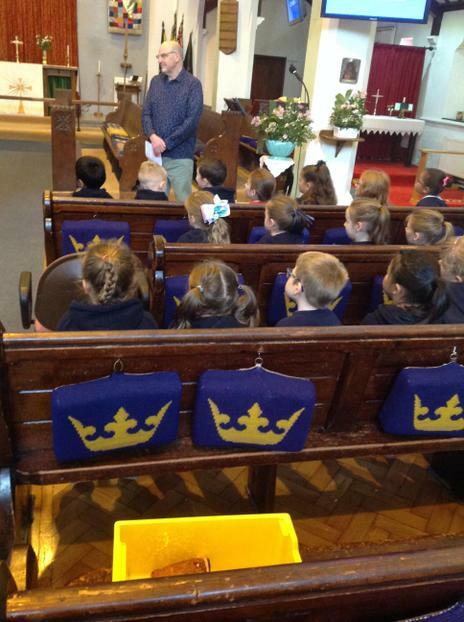 Today we were lucky enough to have a talk from Lisa and Peter in St Stephen's Church. 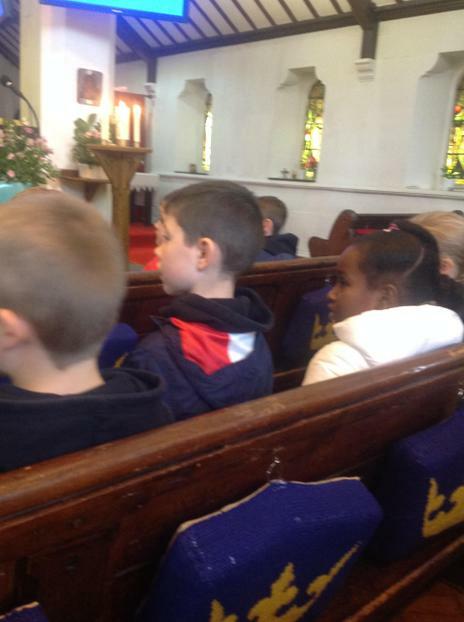 They told us all about Christians and their beliefs about God. RE- What do Christian's believe about God? 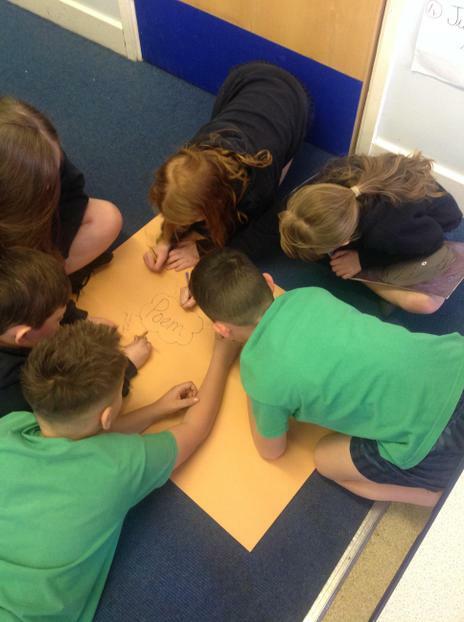 Today we have been exploring what Christians believe about God, thinking about who he, how the year know he is there and why he isn't imprints the to their lives. 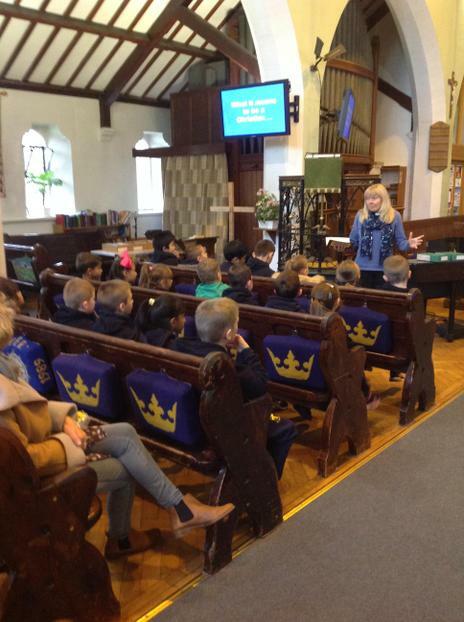 We thought about the Holy Trinity and how we have the Holy Trinity in our own lives. We cannot wait to continue our learning around this interesting topic. 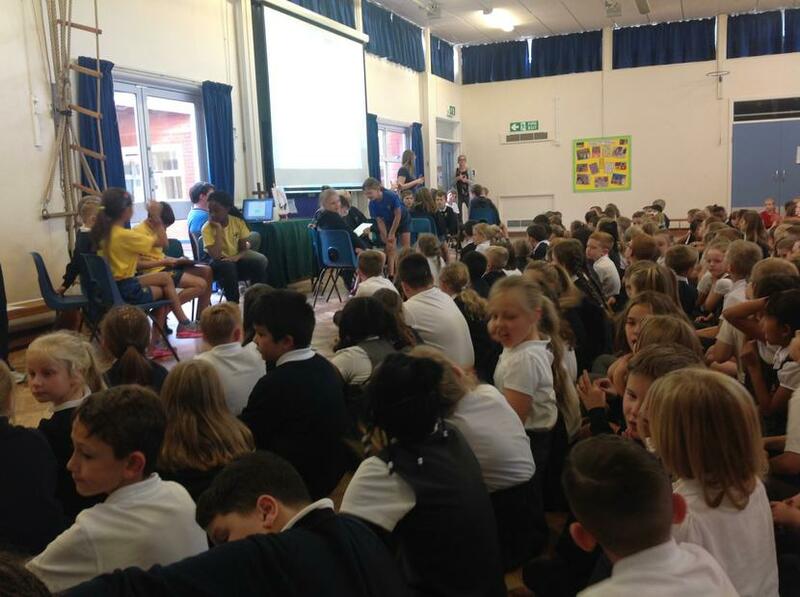 Today we participated in the annual House Quiz. It was very exciting and very close but as always we worked hard in our teams and tried our hardest! Today was very exciting because we got to go on the Chrome Books for the first time! 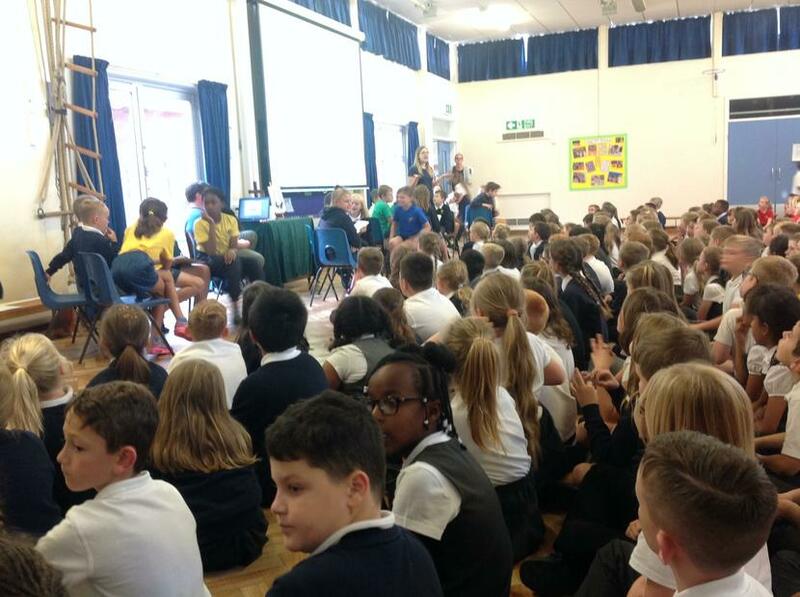 We spoke about the importance of keeping our passwords safe, making sure they are not easy for people to find out and how we must tell our parents or guardians if anything upsets us online. We learned that our passwords must be more than 8 characters long and include numbers and symbols. 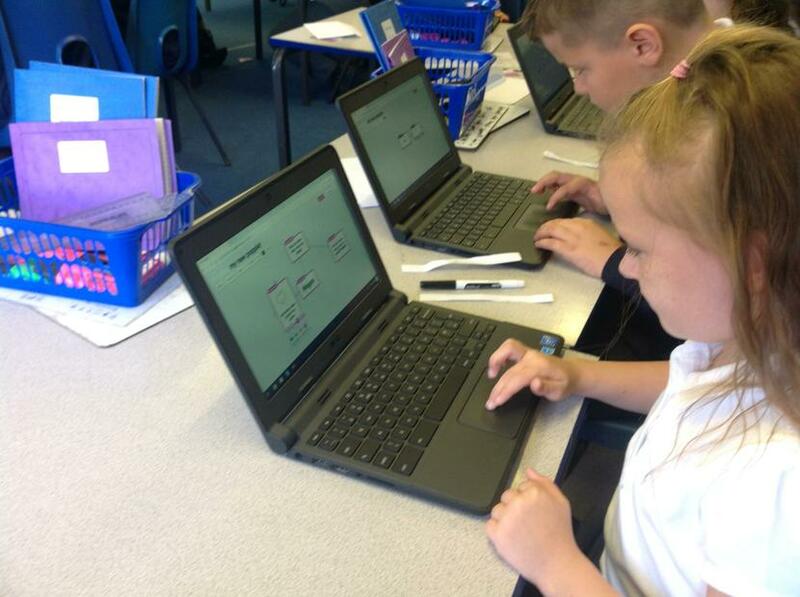 In the afternoon, we used Popplet to create our own times table charts and `All About Me` mind maps. 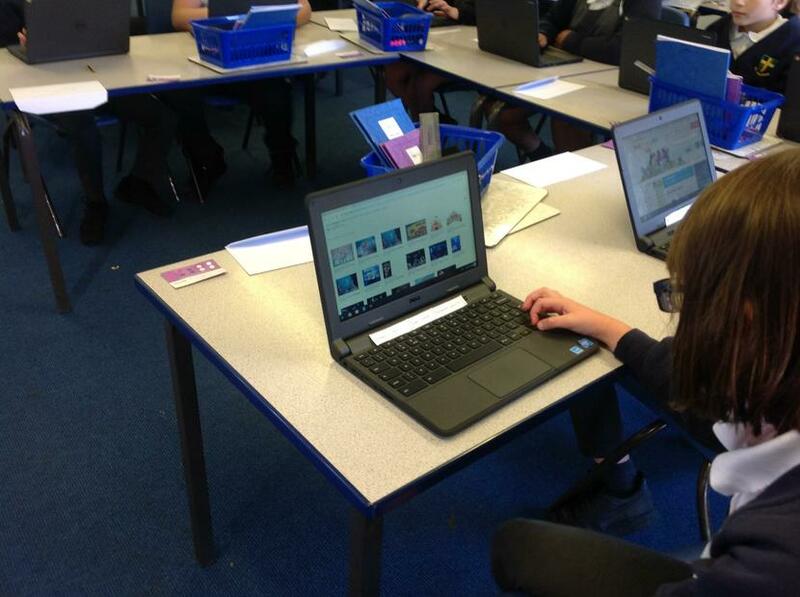 We really enjoyed using the Chrome Books and iPads and cannot wait until our next computing day! 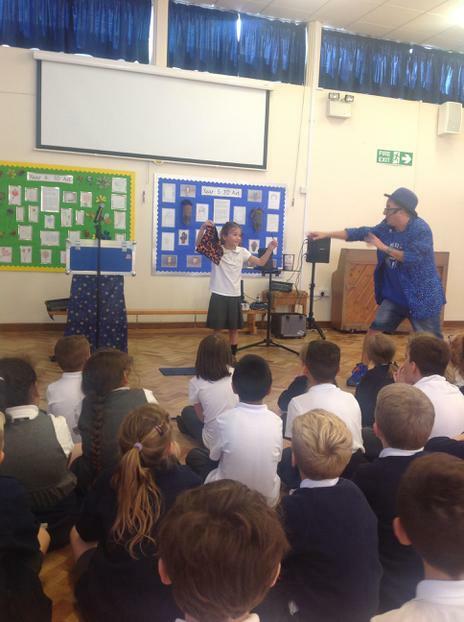 WOW- Magic with Mr T! 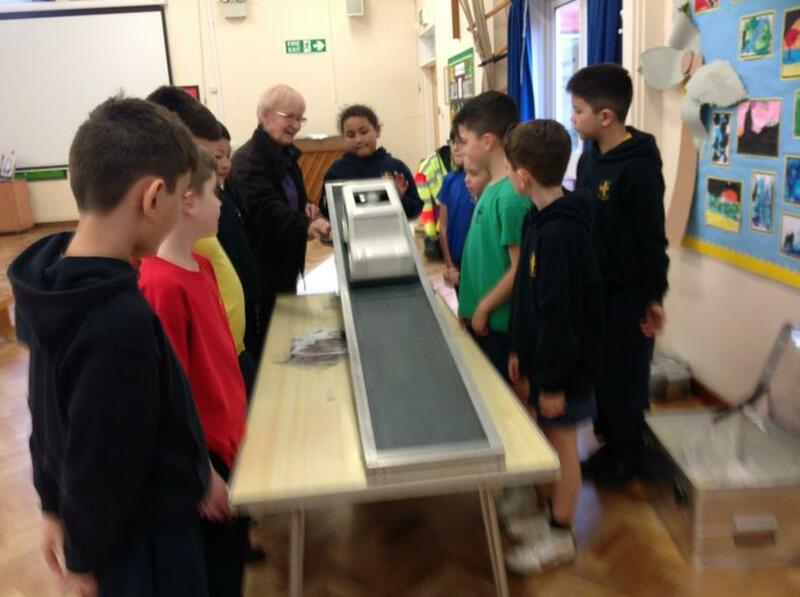 To kick start our enquiry based on 'Leon and the Place Between', we had a very special visit from a very magical man- Mr T. He wowed us with some amazing magic tricks which left us extremely excited to begin our new enquiry. 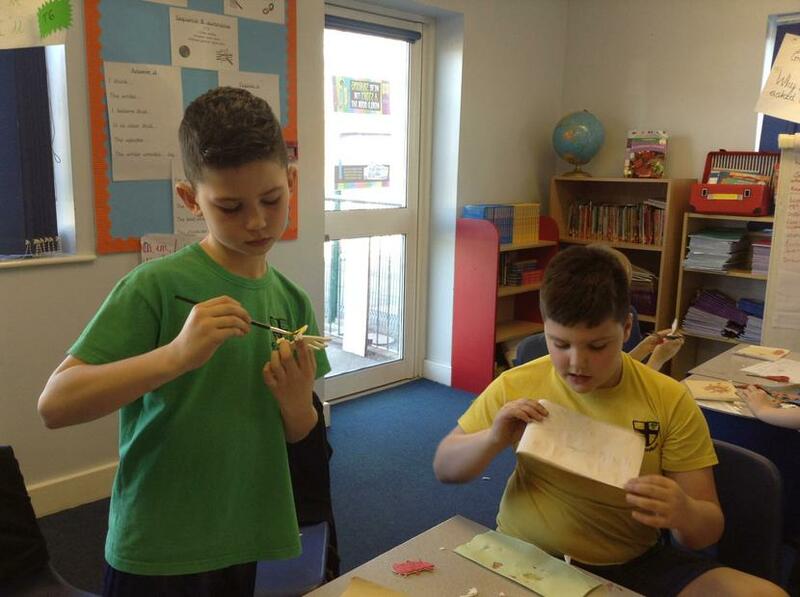 As well as this, back in class we learnt all about optical illusions and had a go at creating our own illusions and mini flip books. WOW! 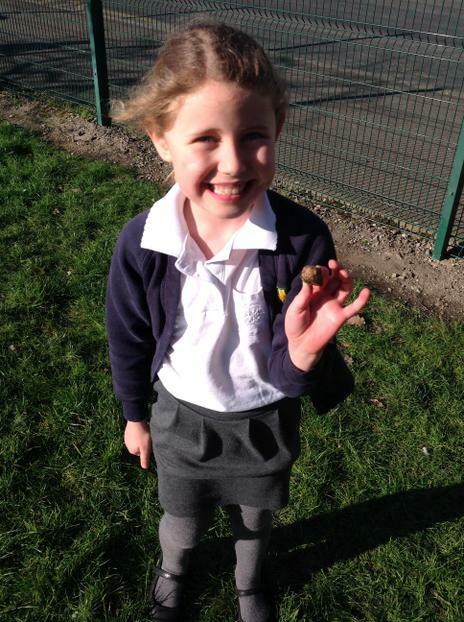 What a fantastic start to our Science Topic. 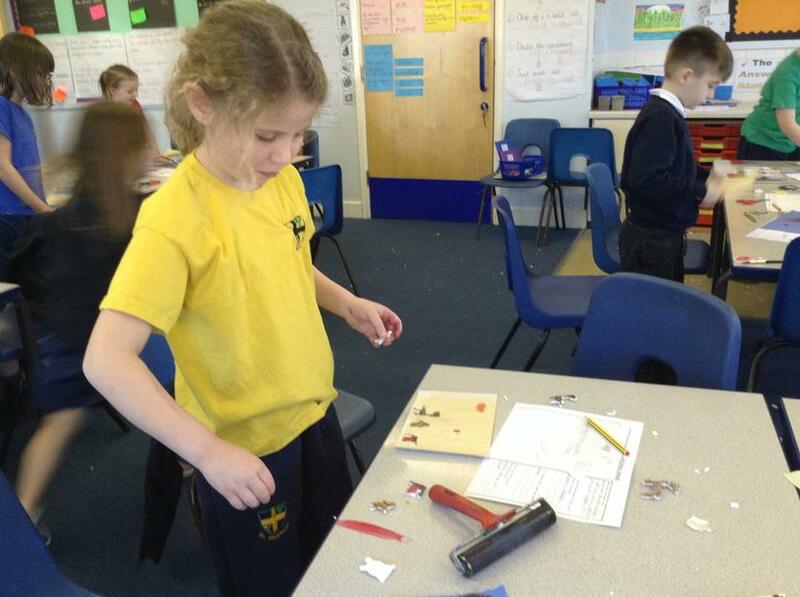 We are looking at forces and magnets and to immerse ourselves we created our very own magic trick using magnets. We were amazed at how the paper clip moved without us even touching it! 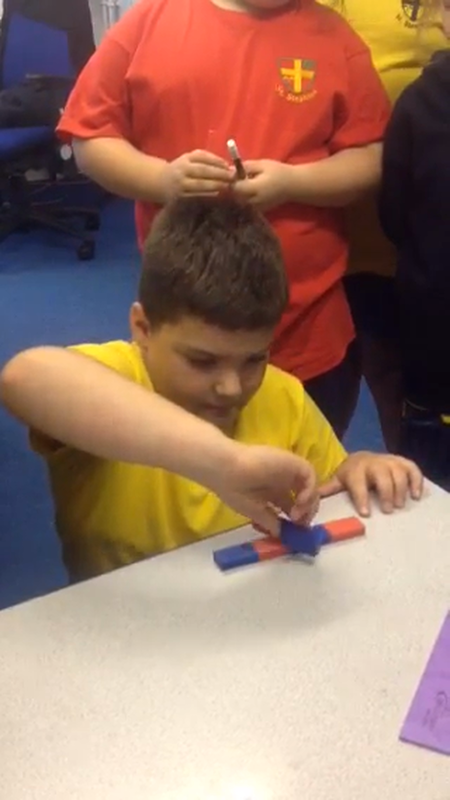 We cannot wait to learn more about forces and magnets this week. 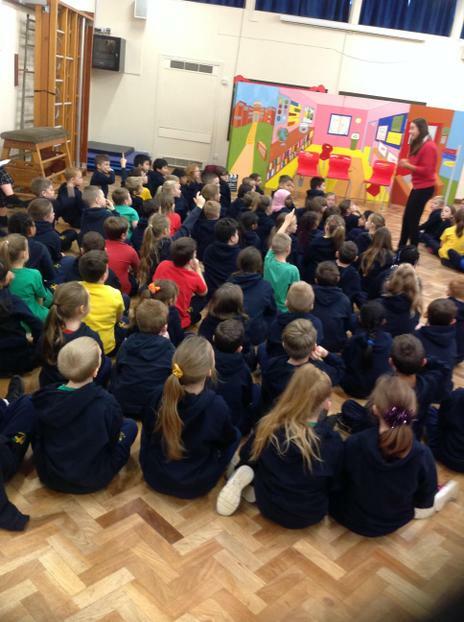 This week we have been learning about how to be a Purple Learner. We have set up our classroom display so that we can remembered how to move our learning on, how to stop ourselves and others from blocking our learning and the different zones of challenge we can be in.